June 6, 2018 – Congratulations to Ed.D graduate Dr. Cate Gentry in being named Thomasville City School Superintendent. 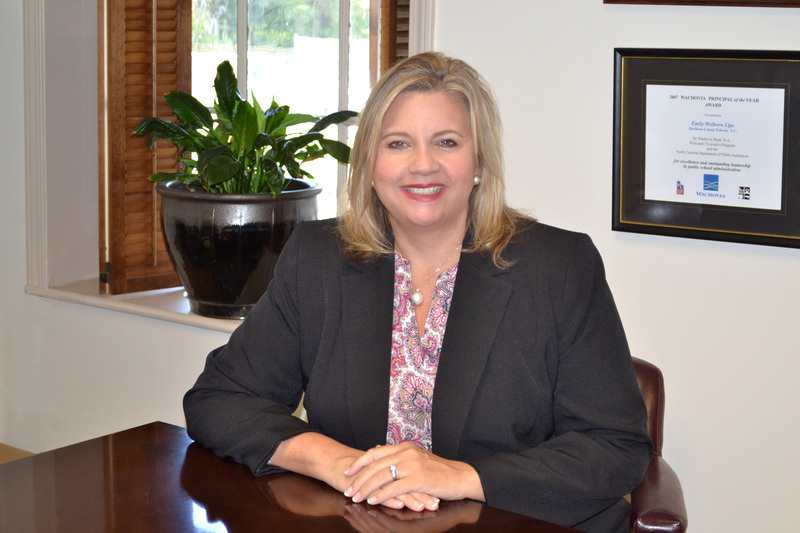 Prior to being named to the superintendency, Dr. Gentry served as Interim Supervisor. April 18, 2018 – Johnson, a senior history major, came to HPU with a sharp focus and love for people. He arrived with a willingness to trust that the HPU community was a place that offered him the opportunity to grow and develop into a unique and powerful individual. Today, he is an admired and respected member of his graduating class. On campus, he has served as a Leadership Fellow, a program in which individuals are challenged to make lasting contributions to the global community not only for today’s marketplace, but also tomorrow’s. 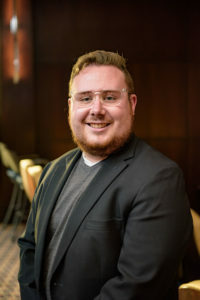 Johnson is a member of Beta Theta Pi, has served on the Interfraternity Council as vice president of judicial affairs and was elected president this year. He is a founding member of the Title IX student organization on HPU’s campus and has been instrumental in initial grassroots efforts. His contributions to the university and the greater High Point community are strong and have been invaluable. In addition to receiving the Award for Citizenship, Johnson was also inducted into the Order of the Lighted Lamp for 2018. The teachers provided great advice to the students of the SSOE with insight on how to handle themselves professionally and personally throughout their first few years as a teacher. The event highlighted the skills that are vital to teaching and some best practices that the education majors should invest time and effort in. When asked what knew knowledge she received from attending the event, Lena Ashley (a senior in High Point University’s Elementary Education program and a member of Kappa Delta Pi) replied, “The teacher panel was helpful because I am currently struggling with classroom management, but hearing the teacher talk about it helped me realize that everyone struggles at first. They gave some good advice about how to improve and I am excited to apply what I learned here.” Overall, everyone enjoyed the event and we are very grateful that the High Point Alumni come back to share their experiences and encourage the future graduates and teachers from High Point University Stout School of Education. Kappa Delta Pi: Literacy Alive! 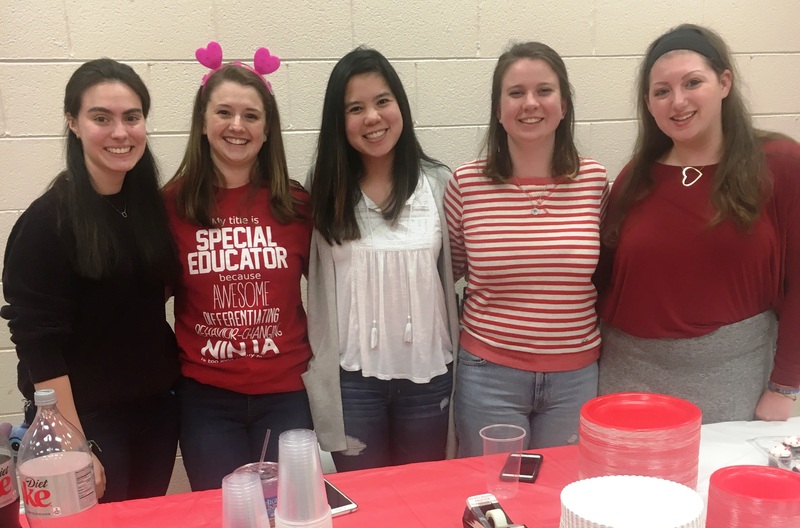 March 15, 2018 – High Point University’s chapter of Kappa Delta Pi, the International Honor Society in Education, went out into the community to take part in their philanthropy event, Literacy Alive!. Literacy Alive! is a philanthropy project that is dedicated to promoting literacy throughout the world. Kappa Delta Pi paired with a community partner, LEAP (Literacy Empowers All People) to work with students after school from Fairview Elementary School. 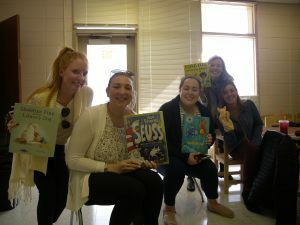 Kappa Delta Pi members each brought a favorite book to read to the elementary students and led discussions on the books. The members also designed activities to accompany their books such as readers’ theater -helping children develop fluency as readers. Sharing a book and their ideas together, the children enjoyed their one on one time in this after school event. Each of the children also chose one to two books to take home with them from the Kappa Delta Pi’s library. 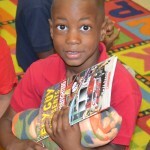 “I am always so impressed at how hard KDP works to get books into the hands and homes of children. Last year KDP members built and now maintain a Little Free Library in High Point” explained Dr. Cavendish, faculty mentor of KDP. 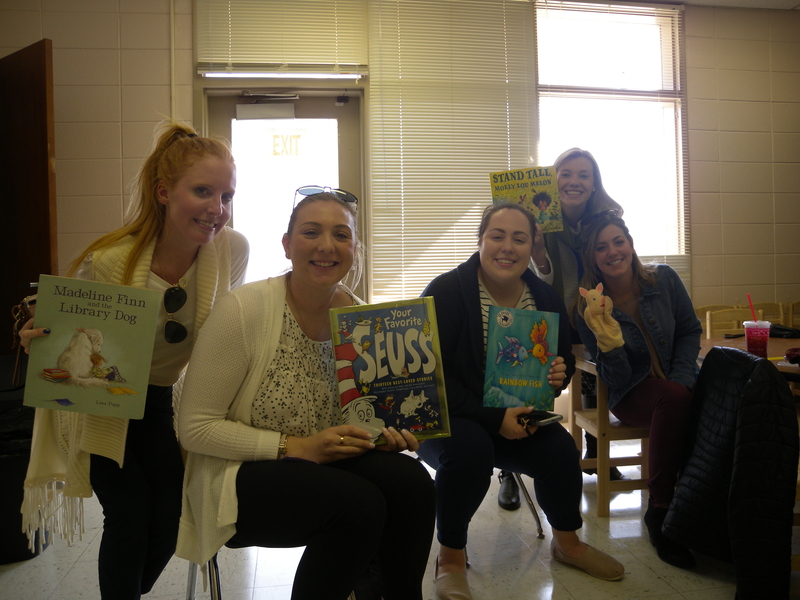 Similarly, Kappa Delta Pi wanted to extend the joy of reading beyond the time together during the Literacy Alive event into the children’s homes. 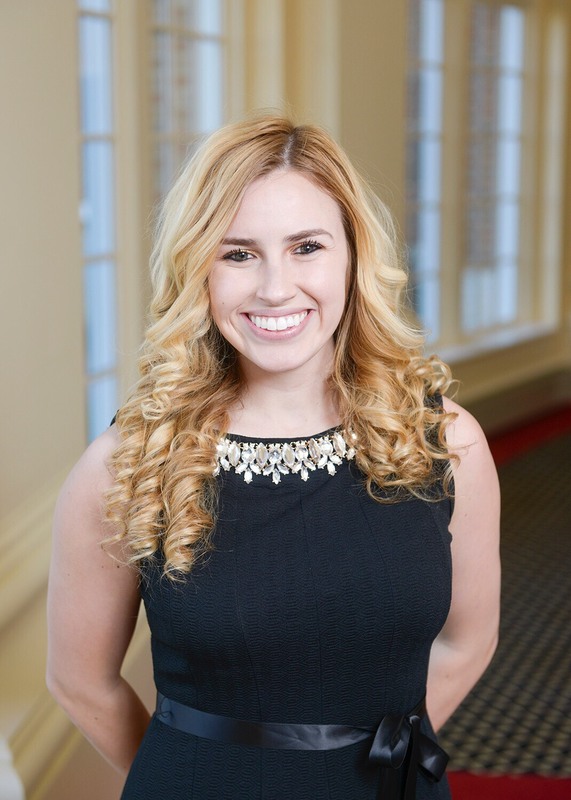 Jessie Thurman, LEAP coordinator emphasized how much she enjoys partnering with High Point University students just as the members of KDP were excited to get to know the children in the LEAP program. 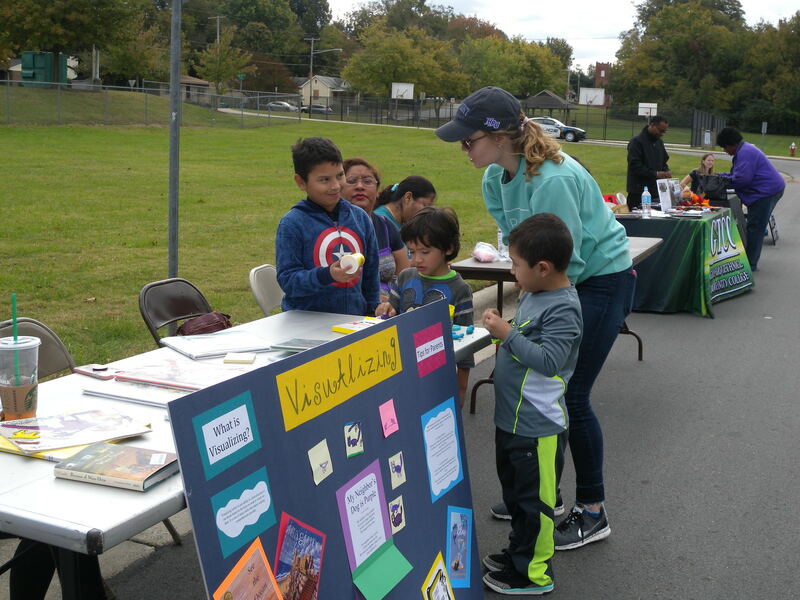 This academic year, KDP partnered with LEAP for their Fall Festival as well as this Literacy Alive event. By the end of their time together, the elementary students were sad to see the members of Kappa Delta Pi leave. When asked about what the most impactful part of Literacy Alive!, Noah, a senior who is a member of Kappa Delta Pi, said, “I felt the most impactful part of the event was the reader’s theater because the kids were engaged and they seemed to enjoy themselves.” In the end, members of Kappa Delta Pi know that getting students engaged in reading is half the battle. We want to instill a love of reading to create lifelong readers. Our Literacy Alive! events are small steps to creating avid and engaged readers! February 2018 – The B.A. To M.Ed. students in the Educational Leadership program at High Point University will be presenting on March 5 at the North Carolina Middle Level Education Conference. The session, Promoting Young Leaders: Lessons Learned From First-Year Teachers in a Leadership Preparation Program, will focus on the accomplishments, challenges, and strategies for improvement based on student and faculty experiences during the first year this program was offered. February 2018 – Brianna Beard, a junior Elementary Education Major will present her research at the National Social Science Conference in Las Vegas March 25-27. Brianna’s research adds to the research on Culturally Relevant Classrooms and the Common Belief Systems that Elementary Teachers have regarding students of other cultures. Her paper has been accepted for the paper competition, where she will compete with students from across the country. Brianna was mentored throughout her project by Dr. Shirley Disseler, Department Chair/Elementary and Middle Grades. February 2018 – The last Special Pops Dance for 2017-18 was held at Morehead Recreation Center on Tuesday, February 13. 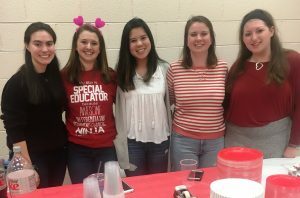 The High Point University chapter of Student Council for Exceptional Children and volunteers welcomed participants into the recreation center which was decorated with a Valentine’s Day theme. 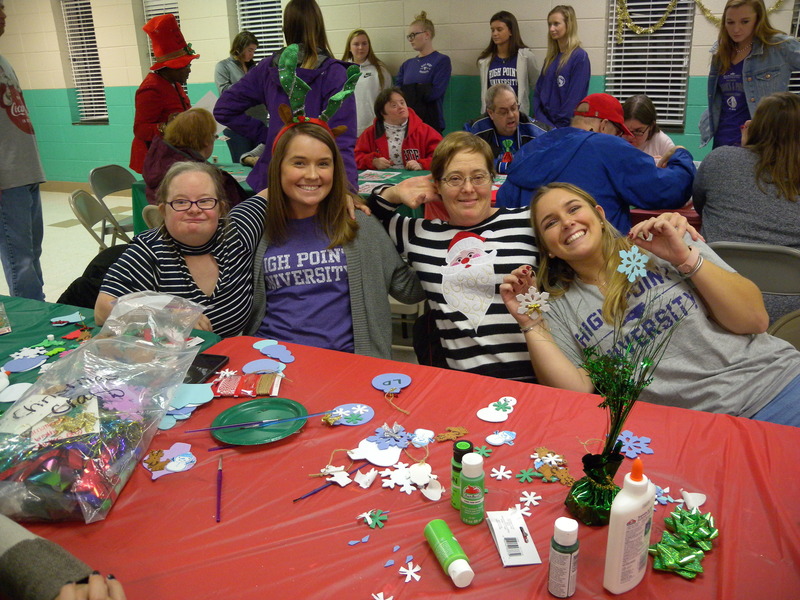 Individuals with disabilities from the High Point Community joined HPU students for a night of bingo, dancing, card making, food and fellowship. Erin Scerra served as the chairperson for the Special Pops Dances this year and ensured that everyone had a fantastic experience. 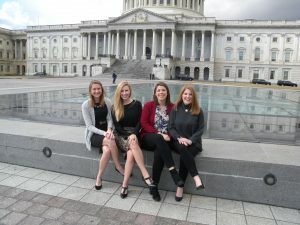 February 2018 – Last week, four students in the Stout School of Education’s BA to M.Ed program in Educational Leadership, traveled to Washington, D.C. with Dr. Allie Blosser, Assistant Professor in the Department of Leadership Studies, to attend ASCD’s Leadership Institute for Legislative Advocacy Conference. As part of the institute, they networked with educators around the country, learned about federal education policy, and practiced their advocacy skills. The culminating experience was meeting with legislators on Capitol Hill to advocate for funding Title II, Part A of the Every Student Succeeds Act. 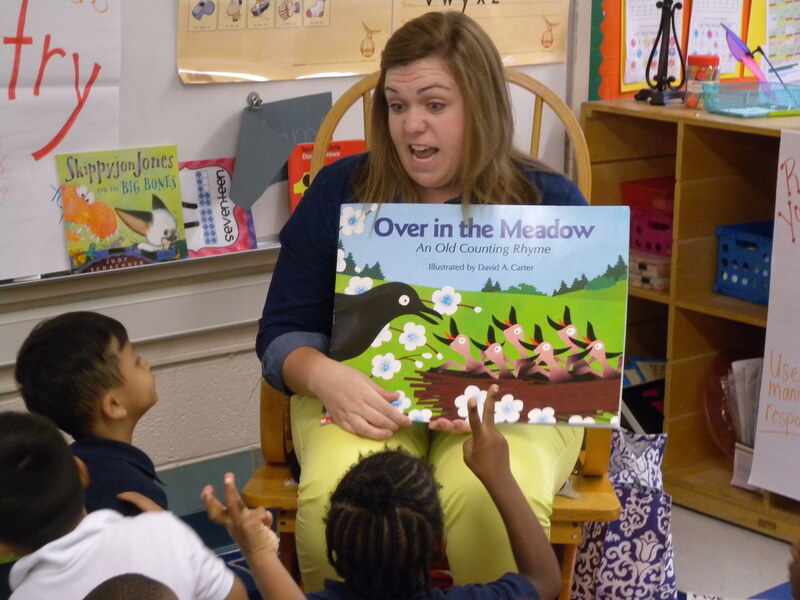 Title II, Part A provides funding for teachers’ professional development. As first-year teachers, the graduate students explained to legislators how professional development has impacted their practice and how important professional development is for their development into school leaders. The Ed.D. 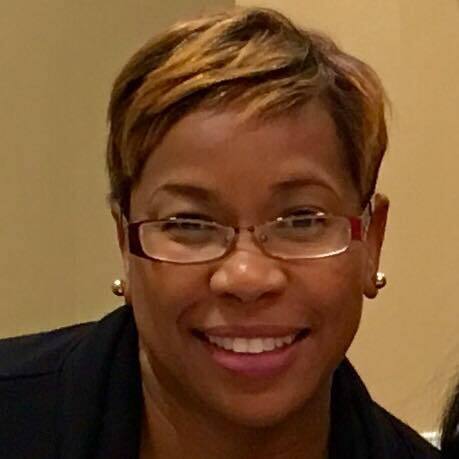 Program faculty is pleased to announce that Deana Coley (Cohort IV) was named assistant superintendent of curriculum and instruction for Davidson County Schools on January 11, 2018. Deana Carrick Coley has worked with the Davidson County School system since 1991. Prior to being named assistant superintendent, Deana served as the Director of Elementary Education, Title I and AIG and as Assistant Director of Academic Support. Prior to working at the District Office level, she was an Elementary Teacher, Lead Teacher, Elementary Assistant Principal and Principal at both the Elementary and Middle School levels. Mrs. Coley was selected as the Davidson County Schools Principal of the Year in 2006. 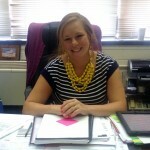 Mrs. Coley earned an undergraduate degree in Elementary Education from Appalachian State University. She received her Master’s Degree in School Administration from Appalachian State University in 2000. In 2013, Mrs. Coley also completed her Educational Specialist degree from Appalachian State University. She is currently completing her Ed.D. Degree in Educational Leadership at High Point University. Her dissertation topic is parents’ choices to homeschool their children, rather than send them to a public school. Mrs. Coley lives in Lexington, North Carolina, with her husband Greg, and two boys, Dylan and Dawson. In addition to the pride she places in her work as an educator, Mrs. Coley enjoys traveling with her family and spending time with her boys, especially watching them play sports. The Ed.D. Educational Leadership Program faculty is excited to share that Ms. Roxann Sykes (Cohort IV) has been selected as the 2018 North Carolina Association for Supervision & Curriculum Development (NCASCD) Outstanding Young Educator! This award is presented to a professional, 40 years of age or younger, who demonstrates exemplary commitment and exceptional contribution to the education profession. Ms. Sykes currently serves as Assistant Principal at Washington GT Magnet Elementary in Wake County Public Schools. A plaque and a check for $1000 will be presented to Ms. Sykes at the NCASCD Annual Conference to be held at The Carolina Hotel in Pinehurst on Thursday, February 8, 2018. We congratulate Ms. Sykes for her accomplishment, especially as she was recognized for her impact on students and her innovative approach to solving problems of practice. Early in her career as an educator, Ms. Sykes learned the power of building relationships. As an administrator, she strives to cultivate authentic and trusting relationships with all stakeholders. After graduating from Shaw University, she taught grades K-3 before transitioning into administration. 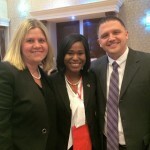 She received her MSA from UNC at Chapel Hill as a North Carolina Principal Fellow. Being an administrator has fueled Roxann’s passion for leadership. Roxann leads and supports initiatives designed to improve the quality of teacher candidates by serving as a member of the Teacher Education Council at Shaw University. Most recently, Roxann established a mentoring program designed to meet academic, social, and emotional goals of African American males. She resides in Raleigh, NC, and enjoys spending time with her canine companion, Grady. 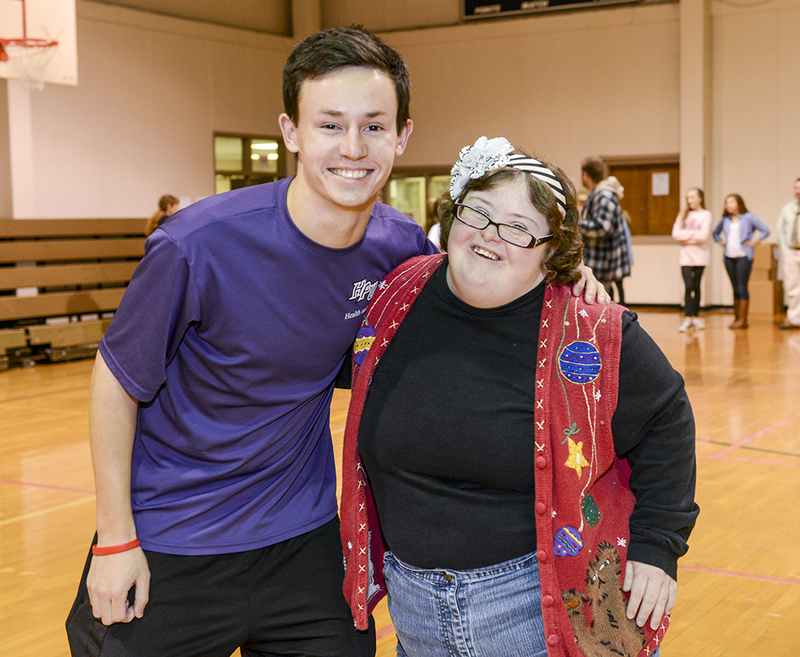 The Special Populations Christmas Dance was held Tuesday, December 5th at the Morehead Recreation Center. The HPU Student Council for Exceptional Children (SCEC) joined High Point Parks and Recreation and Wheatmore High School to sponsor a night of dancing, crafts and refreshments. SCEC member and special education major Erin Scerra serves as the chair of the event. Erin was the offical “elf” of the night and is to be congratulated on another successful event. Friendships were made and renewed on the dance floor, ornaments were created and Christmas lists were shared with Santa. Volunteers and participants helped make this another exceptional night! The next dance will be held on February 13th. Tuesday, November 28, 2017- High Point University junior special education majors visited friends at Chisholm Home. The members of Student Council for Exceptional Children enjoyed making gingerbread houses with the residents of the home. Friendships were formed over graham crackers, milk cartons and icing! After the gingerbread houses were completed, the group enjoyed singing, pizza and fellowship. Thanks to Alyssa Andrade for taking the lead on this activity. The juniors are looking forward to returning to the group home in April! 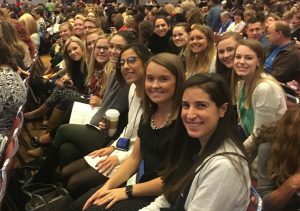 Stout School of Education junior and senior special education majors attended the 67th Conference on Exceptional Children held November 16 and 17 in Greensboro at the Koury Convention Center. The Conference is sponsored by North Carolina Department of Public Instruction, Exceptional Children Department. Over 3,000 educators and parents were in attendance. The Conference is the largest state run conference in the country. The theme for the conference this year was “Prescriptive Instruction: The Key to Proficiency”. Students selected sessions to attend that concentrated on how to prepare students with disabilities to be proficient in academic, behavior and transitional skills. October 28, 2017 – Last Saturday, members of High Point University’s chapter of Kappa Delta Pi “KDP” volunteered at the High Point Literacy Empowers All People “LEAP” Fall Festival. For this event, KDP created two interactive stations highlighting different reading strategies. One station focused on questioning and the other focused on visualizing or making mental images. Both incorporated hands-on ways for children to get actively involved in reading. Throughout the event, KDP members were available to model these reading strategies for children, read books to children, and even discuss the theory behind these strategies with parents. This event was a great way to promote literacy within our local community! 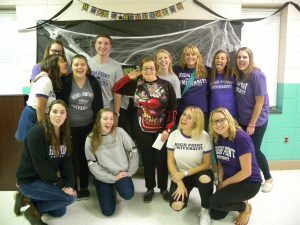 October 24, 2017 – The Student Council for Exceptional Children (SCEC) and High Point Parks and Recreation Department partnered together Tuesday night to sponsor the Special Populations Halloween Dance. 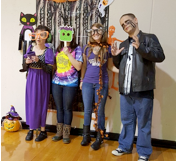 The dance was held Tuesday evening, October 24 at Morehead Recreation Center. Individuals with disabilities in the High Point and surrounding community were in attendance for a fun-filled night. 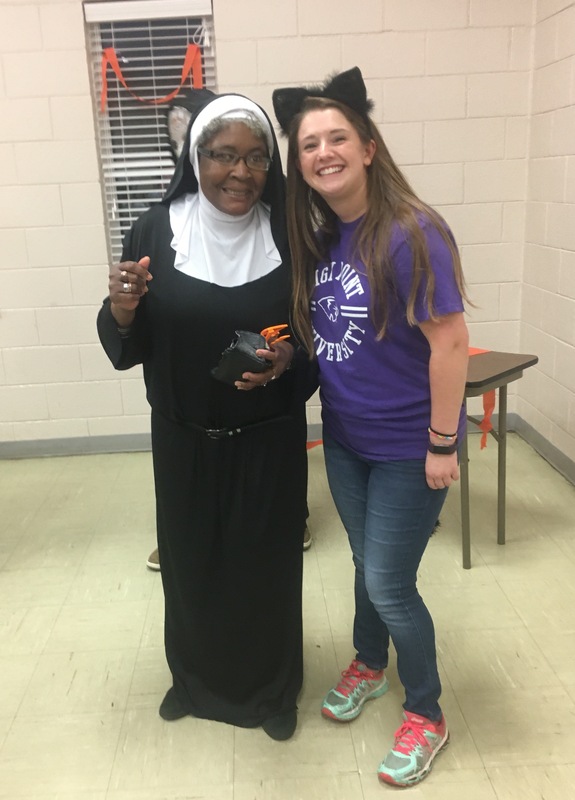 SCEC members and HPU student volunteers helped provide an evening of fun including refreshments, a costume contest, arts and crafts and dancing. 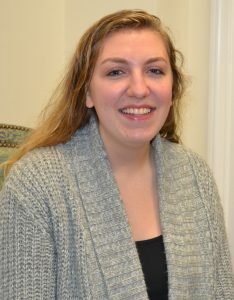 Senior special education/adapted curriculum major Erin Scerra serves as the chair of the Special Pops Dance Committee. Erin planned, organized and provided oversight for the event. The next dance, will be held on December 5th. Plan to come out and celebrate the last day of class! Dr. Emily Lipe was named interim superintendent of the Davidson County Schools on July 25, 2017. Prior to this appointment, Dr. Lipe most recently served Davidson County Schools as Assistant Superintendent for Curriculum and Instruction. With a twenty-seven year tenure in Davidson County Schools, Dr. Lipe is no stranger to the students, teachers and administrators of the school district. 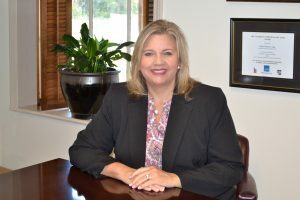 During her career, Lipe has served as a high school English teacher, a middle school assistant principal, an elementary principal, principal of two different high schools, the director of secondary education, and as a parent of two children who were privileged to be educated in the Davidson County School System. 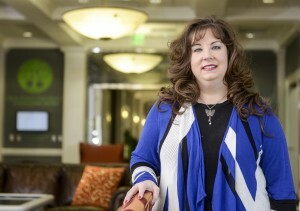 Dr. Lipe earned her Doctorate in Educational Leadership from High Point University and both her Bachelor’s and Master’s degree in English with a concentration in Education from the University of North Carolina at Charlotte. Selected as a North Carolina Principal Fellow, she also earned a second Master’s degree in School Administration from the University of North Carolina at Greensboro. She and her husband, Kevin, reside in Lexington and are both members of Beck’s Reformed Church. The couple has two children, Alexander, a recent graduate of Appalachian State University and Audrianna a rising sophomore at North Carolina State University. May 2017 – Congratulations to Miss Sarah Luz for being named the 2017 Randolph County School System’s High School Beginning Teacher of Excellence. Sarah stated, “I have been overwhelmed with so much support in my first year of teaching, and I know I wouldn’t be able to be there for my kids if I didn’t have my co-workers, friends and family by my side. Sarah is a Special Education teacher at Trinity High School (Trinity, North Carolina). She received her BA in Special Education from the Stout School of Education in 2016 and her M.Ed in Special Education With a Concentration in Intellectual Disabilities in May 2017. Please join us in congratulating Sarah for this huge accomplishment! Congratulations Stout School of Education Class of 2017! May 3, 2017 – Congratulations to all the Stout School of Education 2017 graduating seniors! We are very proud of each of you and know you will do great things in your teaching career. A special congratulations to the students shown in the picture below are our 2017 Outstanding Student Teachers (pictured left to right: Claudia Beard, Kerri Madden, Ashley Foy, Mallory Heffelfinger, Cristina Honeycutt and Hannah Willey). Claudia Beard was also selected as the 2017 Stout School of Education NC-ACTE Student Teacher of the Year and will go on to compete for the statewide award. They called her “Ms. Green Beany.” But Jordan Green didn’t mind. For the past year, she’s been with these fifth-graders at Southwest Guilford Elementary as a student teacher, and she’s helped them learn and grow. Now, it’s her time to grow. Green will graduate Saturday with honors with a degree in elementary education and a minor in psychology, and she’ll leave a campus that helped enrich her faith, hone her leadership skills and find a friend in a second-grader from South Sudan. Because of her many campus accomplishments, college officials have selected Green as HPU’s Extraordinary Leader for the month of April, and how did she find HPU, a place that she says gave her so much? Through an overheard conversation. Her mom was shopping at an American Eagle store when she heard customers talking about High Point University. Green’s mom joined in and knew right away what to do – have her oldest child visit. At first, Green procrastinated. College is a big decision. But once she and her parents drove down from their home in Ellicott City, Maryland, Green knew. HPU was where she belonged. She didn’t visit or apply to any other college or university. Green came in as a Presidential Scholar. 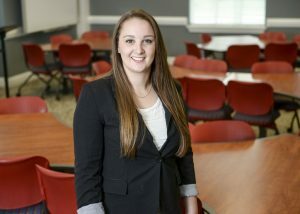 She enrolled in HPU’s Honor Scholar Program, made the Dean’s List every semester, and for the past three years, she has received the Hildreth Gabriel Jordan Scholarship. She became a member of Psi Chi, the psychology honor society and vice president of the Kappa Delta Pi, the international honors society in education. This year, Green and her other Kappa Delta Pi members collected books, built a small library and erected it at a local church. Her volunteer work started as a freshman. Green joined the Board of Stewards, the student leadership team with HPU’s Chapel and Religious Life, and she befriended local children. They played games, wore costumes and celebrated holidays. Green and other members of HPU’s Board of Stewards befriended local children, and dressed up oh Halloween to help them trick-or-treat. For the past two years, she led the Board of Steward’s Angel Tree Project. She saw firsthand what some local families needed for Christmas like shirts and pants, and it made her appreciate HPU’s ever-present philanthropy in the greater High Point community. Green plans to earn a doctorate in educational research with cross-cultural ties. She discovered that cross-cultural interest at HPU. But she discovered her interest in education at her home in Maryland with the green shutters — and the green door. April 25, 2017 – Senior education majors participated in a Career Fair at Cottrell Hall. School districts from across North Carolina participated. Education majors visited the Career Fair from 1:30– 3:30 and spoke with recruiters about job opportunities for the upcoming school year. 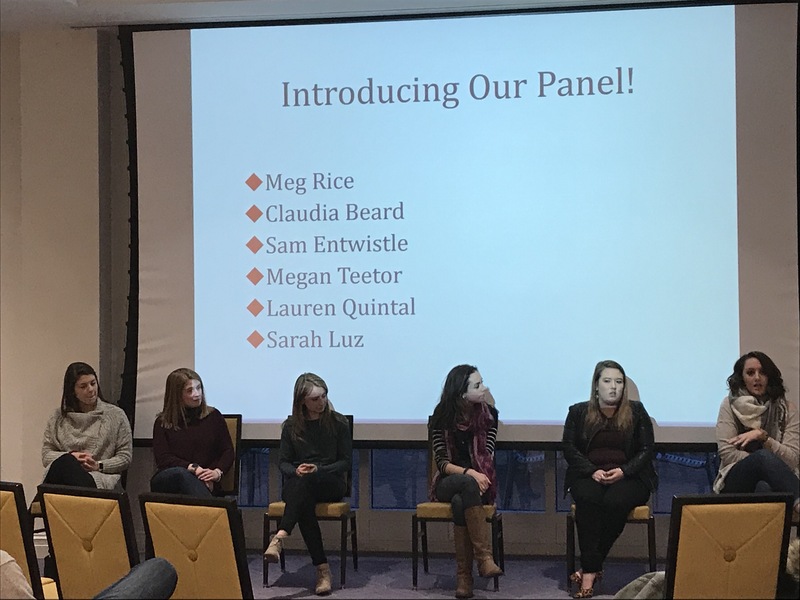 Following the Career Fair, seniors moved to the Stout School of Education to participate in the second annual Principal Panel. 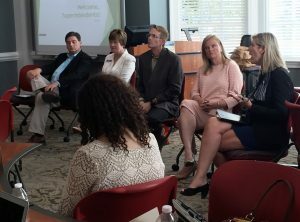 Fifteen principals representing Davidson County Schools, Guilford County Schools, Durham Public Schools, Randolph County Schools and The Piedmont School participated in the Panel. After being escorted to faculty offices by Junior Special Education majors, each principal conducted a mock job interview with three to four Seniors. Approximately 60 senior education majors participated in the event. The fields of Elementary Education, Special Education, Health and Physical Education, Middle Grades, and Secondary Special Subject Areas were represented. The visiting principals represented diverse schools at the elementary, middle and high school levels. After the interview process concluded, the group gathered for dinner and discussion in the Webb Conference Center. Principals provided candid feedback and suggestions for improvement. The event is part of the ongoing effort by Stout School of Education to provide pre-service teachers with a meaningful and authentic experiences. The Principal Panel is directly related to seeking out, interviewing for and securing employment in the field of education. School of Education Instructors Mrs. Debbie Albert and Ms. Teresa Owens hope to continue to host the event as a tradition at the conclusion of the student teaching experience each year. The final High Point Robotics Challenge on April 20th proved to be exciting and energetic for all 32 students and 8 coaches! The STEM Team in the graduate program at High Point developed challenges around the themes of Beauty and the Beast, Let’s Go to the Fair, and A Day in the Dog Park to engage middle school students in coding, robotic sensor usage, and teamwork. The final challenges proved to be difficult! Awards were given to the team with the highest score for the semester over 4 challenge days. The winner of the first HPU Challenge was Immaculate Heart of Mary. Best overall team award went to Ferndale Middle School. The winning team received an EV3 robotics kit. All participants received a gift from LEGO and certificate of participation. 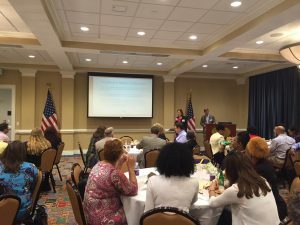 April 21-22, 2017 – High Point University and the Stout School of Education hosted the 2017 Doctoral Research Symposium and Innovative Leadership Collaborative. More than 125 educators attended, ranging from superintendents, assistant superintendents, principals, assistant principals, professors, directors, teachers, and community leaders. It was a day filled with work, learning, networking, and action. 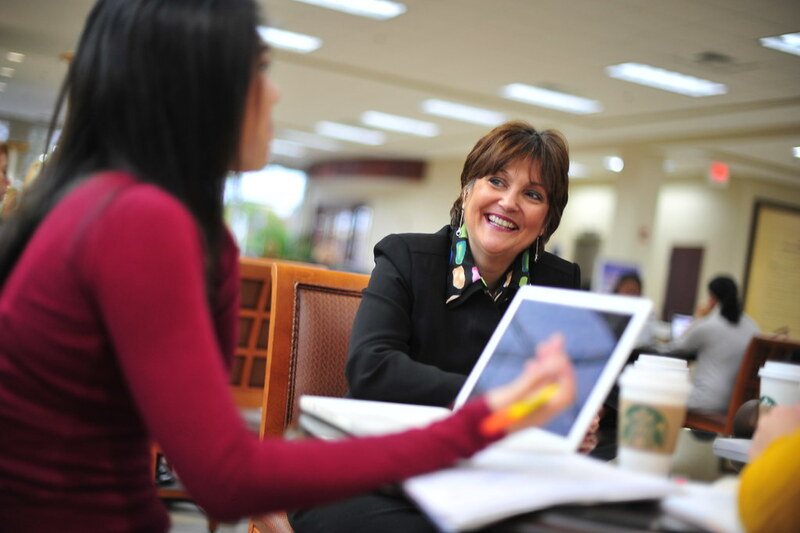 The HPU team worked diligently to have sessions for everyone, regardless of their position or professional placement. 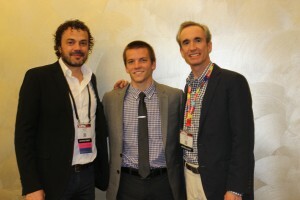 Everyone walked away from this year’s event with fresh ideas, innovative strategies, and a sense of rejuvenation! The conference committee worked hard to plan a weekend that was filled with enlightening discussions, presentations that covered an array of topics, and also provided interactive opportunities for all of our participants. The opening keynote was titled “Why We Do What We Do”, and it was delivered by Dr. Marion Bish. Marion Bish is a career public school educator. For the past 31 years, she has served children and communities as an elementary and middle school teacher, middle school administrator, and central office leader in varying capacities such as federal programs, human resources, and student services. Her undergraduate studies were completed at Florida Atlantic University followed by graduate studies at UNC, Charlotte. Marion currently serves as the Executive Director for Student Services for Charlotte Mecklenburg Schools. She and her husband George live in Concord and are the parents of three grown children and grandparents of two young grandsons. Our lunch keynote was provided by Drs. Allison and Joe Blosser, both from High Point University. Their presentation was titled “Post-Secular Leadership in an Age of Religious Pluralism.” They were extraordinary! Breakout sessions were built around HPU’s doctoral program and the strands covered in each class. Topics and presentations were directly and indirectly linked to the following topics: Strategic leadership, accountability, effective communication, law, policy, exemplary teaching, diversity, the effective use of data, community relations and public relations. The closing keynote was titled “Moving from I to WE!” It was delivered by Dr. Kelly Propst. Dr. Katherine “Kelly” Propst is Cabarrus County School’s Assistant Superintendent of Auxiliary Services. Areas of responsibility include Accountability & Testing, After School Programs, School Nutrition, Technology & Transportation. Dr. Propst earner her doctorate from Vanderbilt University and was awarded the Arville W. Wheeler Dissertation Award. She is currently an adjunct professor at Wingate University and Queens University. Areas of research include organizational change and leadership models. Dr. Propst lives in Concord, NC with her husband of 30 years (Trent). Kelly and & Trent have two sons: William (26) and Patrick (24). Plans are already underway for next spring’s event! If you’d like to participate or present, please contact our Conference Director, Associate Professor, Dr. James Davis (jdavis@highpoint.edu). 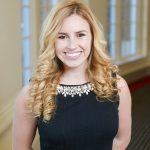 April 6-9, 2017 – Christina Honeycutt presented her research at the National Conference on Undergraduate Research in Memphis, Tennessee which was held at the University of Memphis April 6th – 9th. Christina¹s research presentation was entitled “Intervention Embedded Assessments in a Sample of Struggling Middle School Readers“. Christina has conducted research with Dr. Sarah Vess, Chair of the Department of Specialized Curriculum for the past two years. 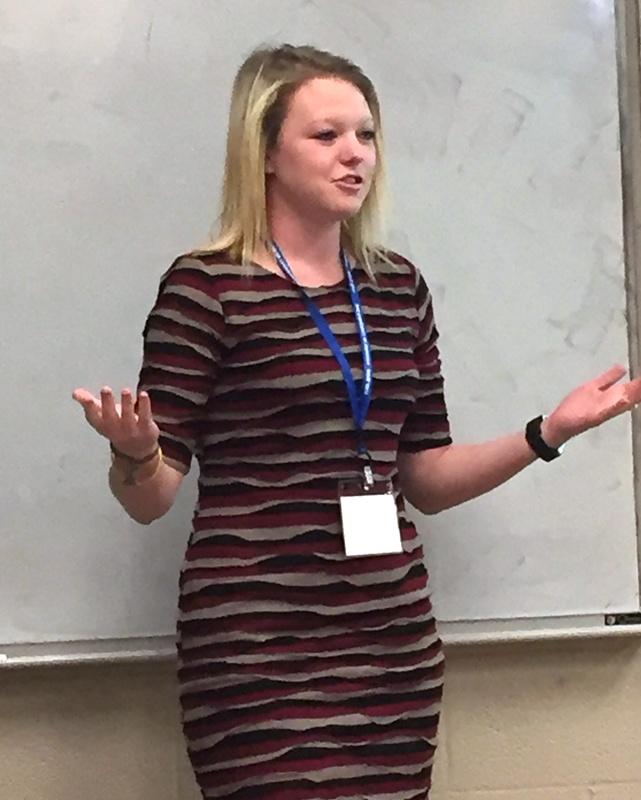 Christina¹s presentation at NCUR was based on her work mentored by Dr. Vess during High Point University¹s 2016 Summer Undergraduate Research Institute. 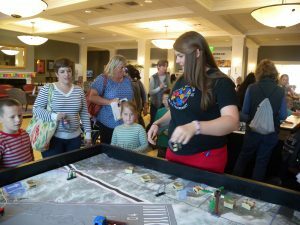 April 8, 2017 – High Point University Stout School of Education engaged over 600 people on Saturday April 08, 2017 in the Come Build with Us Showcase for LEGO Education. 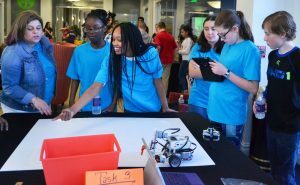 The event brought children and families onto campus from across North Carolina to participate in hands-on STEM activities in conjunction with the NC Science Festival; such as robotics, engineering circuits, coding, and competition building with the brick. This event occurs twice a year (November and April) and attracts close to 1000 people each time. Students enjoy participating and learning about robotics with EV3, building ferris wheels and rovers with WeDo robotics, building race cars, and competing for prizes in the free build competition. 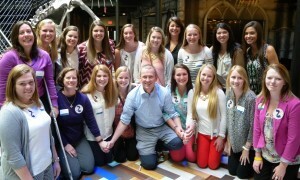 February 2017 – Thirteen students from the High Point University School of Education’s Teachers of Tomorrow had the opportunity to take part in the Ron Clark Academy education training on February 16 in Atlanta, Georgia. 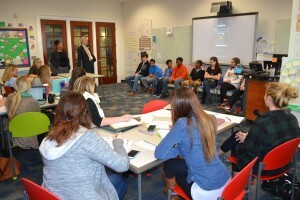 The one-day training allowed students to observe classes and attend professional development workshops at the Ron Clark Academy. The Ron Clark Academy is a non-profit middle school that opened in 2007. It has received recognition for its success in educating students. “Ron Clark provided a different take on education and gave me many concepts and practices to mimic in my future classroom. The Ron Clark Academy is a unique learning environment where future teachers can gain many tools for success from those who have already had years of success in classrooms”. 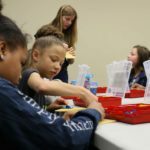 January 27, 2017 – The Homeschool STEM program is based out of a church in Winston-Salem and is an advocate for helping the community. Every Thursday Taylor teaches the Kitchen Chemistry II class for one hour. She and the middle school aged students talk about the chemistry behind different food items and chemical and physical changes. They started off the Kitchen Chemistry class by making gummy bears. Once they put the gummy bears in the fridge to set, they decided to spend time helping others in the community. They used engineering design principles to set up an assembly line that would be most efficient to make the most amount of peanut butter sandwiches while keeping quality in mind. While the students were making the sandwiches, they also engaged in conversation about the process of going from a peanut to peanut butter, and how peanuts are grown. Once the 60 sandwiches were made, they were donated to Open Door Ministries, a local food bank, to give to the homeless. After the sandwiches were finished, the gummy bears were ready, and they were able to enjoy a treat after our the completion of their hard work. January 26, 2017 – A grant provided by Daimler Trucking and Thomas Built Bus Company allowed 32 middle school students from local schools to come to High Point University’s School of Education and participate in the first ever High Point Challenge Event! 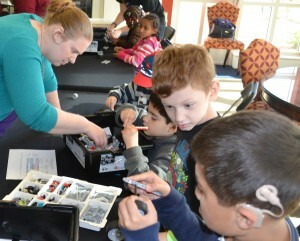 This event is part of the Come Build with Us Program that stems from the LEGO Education and HPU Partnership. 125 people came to show support and participate! The goal of the program is to provide opportunities for Title I middle schools and schools that are not part of the FLL to compete and learn about engineering design. The hope is that schools will invest in FLL and further their engineering knowledge as a result of their HPU experience. The High Point graduate students currently enrolled in Dr. Disseler’s Robotics classes developed the challenges and provided judging for the event. The event is a monthly event and the culminating final competition will be held in April! 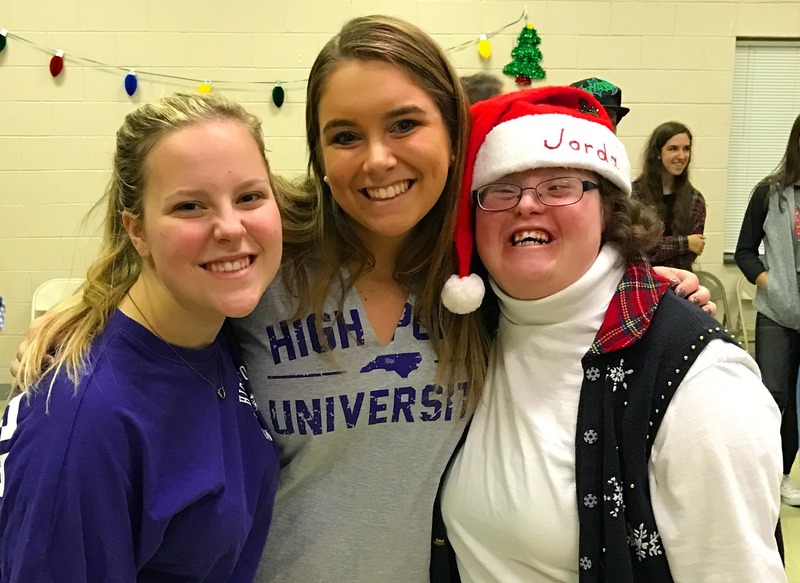 December 6, 2016 – High Point University School of Education’s Student Council for Exceptional Children hosted a Holiday Dance at Morehead Recreation Center for individuals with disabilities in the High Point community. The participants were treated to refreshments and made holiday crafts. Santa made a surprise visit to the dance and with the help of his elf, senior special education major Christina Honeycutt, was able to hear many many Christmas list requests! Bingo, a cake walk and of course time on the dance floor rounded out an evening of festivities and fellowship. Tina Johnson, doctoral candidate in the School of Education’s Ed.D. program in Educational Leadership has recently published an article in the National Association for Alternative Certification (NAAC). The article titled Alternative Certification and Candidate Retention: Measures of Educator Preparation, Certification, and School Staffing Effectiveness, focuses on teacher turnover issue impacting education on national, state, and local level. The study examined the percentage of alternative certification candidates who became fully certified and were hired into teaching positions beyond the induction period, the retention rates of alternatively certified teachers who stay in and complete a preparation program, and the reasons alternatively certified teachers leave the profession. November 2016 – Akir Khan, a doctoral candidate in Educational Leadership (Cohort II), and also a High Point University Success Coach and adjunct professor, had his white paper entitled, “Distributed Leadership in Theory and Practice,” accepted for publication in The Carnegie Project on the Education Doctorate (CPED), Volume 1, Issue 2, of the CPED White Papers. “It is an honor to be included for publication with The Carnegie Project on the Education Doctorate, joining the ranks of other educational leaders around the country. I look forward to continuing the conversation on leadership development and ways that we can help every student succeed in higher education,” stated Mr. Khan. The White Paper Project was initiated to provide CPED faculty and students with a forum for developing their work and to encourage formative exchanges among colleagues. 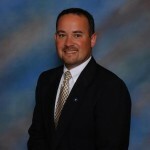 Robert Richmond: Mr. Richmond has been selected to participate in the North Carolina PDK Emerging Leaders Program. The program will be held at the North Carolina Center for the Advancement of Teaching (NCCAT) in Cullowhee, North Carolina, on November 11- 13, 2016. Emerging Leaders will participate in breakout sessions on change leadership, advocacy, communication, digital leadership, and cultural leadership. The weekend leadership program also includes opportunities for networking and sharing your leadership experiences with other Emerging Leaders. In addition, Mr. Richmond and his wife and expecting another baby!! Congratulate him when you see him! Alison Coker: Mrs. Coker presented at the American Association of School Personnel Administrator’s (AASPA) national conference recently. The presentation shared recruiting and retention data from a national and local perspective and offered participants strategies to decrease the impact of attrition of student achievement. She shared retention strategies to identify and retain top talent as well as support strategies to effectively coach or counsel employees who have difficulty meeting the needs of all students. Gretta Dula: Mrs. Gretta Dula, principal at Ligon GT Magnet Middle School and several colleagues will soon present with NCASA on equity, highlighting roads to the development of equity teams at their schools. The conference focuses on Educational Leadership. Good luck Gretta! November 2016 – Junior special education majors and minors spent the mornings of November 1 and 3 at The Piedmont School. The Piedmont School is located on Old Mill Road in High Point. 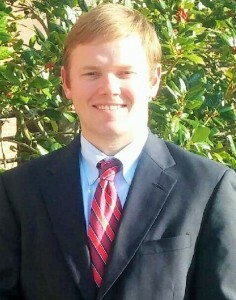 According to Head of School Tim Montgomery, “There are many things unique about our school, and we are different by design – to help students achieve both academic and social success.We are a non-profit organization providing a unique, essential service to children in our community with learning disabilities and/or Attention Deficit (Hyperactivity) Disorder ADHD.” High Point University students spent the two mornings getting to know their Piedmont School student and improving their skills in the area of test administration. October 1, 2016 – The HPU Cohort V doctoral students engaged in discussion with North Carolina superintendents Drs. Lory Morrow (Davidson County Schools), Terry Worrell (Asheboro City Schools), Travis Reeves (Surry County Schools), Rodney Shotwell (Rockingham County Schools), and Kim Morrison (Mt. Airy City Schools). Topics ranged from reform efforts to school board relationships to career advice for aspiring superintendents. HIGH POINT, NC, October 27, 2016 – There were no tricks, but a lot of treats at the Special Populations Halloween Dance on Oct. 25. Organized by High Point University’s Student Council for Exceptional Children (CEC), individuals with disabilities dressed in costumes and enjoyed a community dance at the Morehead Recreation Center. 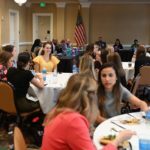 High Point Parks and Recreation, members of HPU’s Beta Theta Pi fraternity and Wheatmore High School students co-hosted the event with the CEC. Participants and their family members enjoyed games, dancing, crafts and food in Halloween-themed rooms. October 2016 – Abbey Bosley and Erin Lee, senior STEM concentration students in the School of Education at HPU assisted Dr. Disseler, Associate Professor; at the World View Conference on Global Learning in the Digital Age on October 19th, 2016. The student assisted with the presentation of Dr. Disseler’s new book series “The Brick Math Series” : Teaching and Learning Math with the LEGO Brick. The conference is designed as professional development for K-12 teachers, Community College teachers and Educators in Higher Education. The focus this year was Global Learning in the Digital Age. Over 400 educators were in attendance. 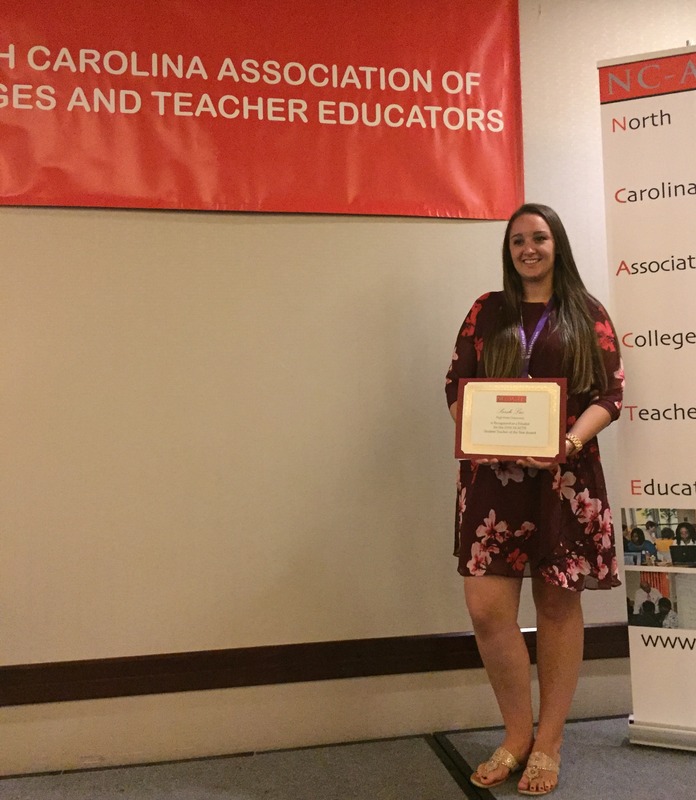 September 22, 2016 – High Point University graduate Sarah Luz and current Masters student was honored as one of the finalists for the first annual NC-ACTE ( North Carolina Association of Colleges and Teacher Educators) Student Teacher of the Year. 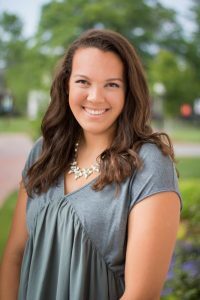 Sarah graduated from HPU in May 2016 with a degree in Special Education. 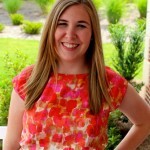 Sarah is currently pursuing her Master’s degree in education at High Point University. 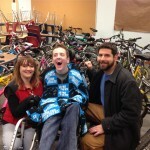 Sarah is employed as a special education teacher at Trinity High School in Trinity, NC. The event was held at the North Raleigh Hilton in Raleigh, NC. Celebrating with Sarah were her boyfriend Barry, her cooperating teacher and principal from Trinity High and faculty from the School of Education at High Point University. 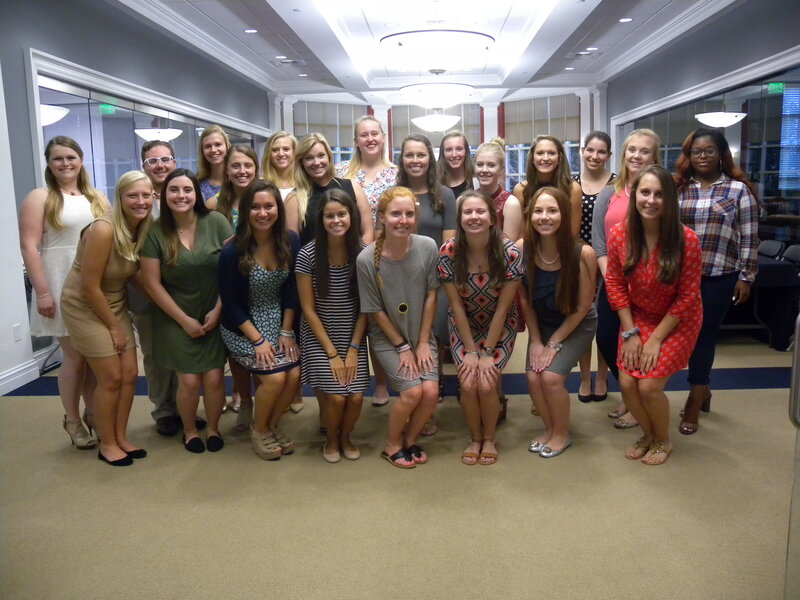 September 15, 2016 – The Kappa Mu chapter of Kappa Delta Pi was pleased to initiate 24 new members into our chapter. Since 1911, Kappa Delta Pi, an international educational honor society, has continued to grow and promote literacy around the world. In fact there are now over 1.2 million members of Kappa Delta Pi. The initiates listed below who have joined our society are dedicated to fostering excellence in education and fellowship among teachers. Our current members and executive board congratulate these 24 initiates on their hard word and their dedication to teaching and welcome them to Kappa Delta Pi. As students began to arrive at High Point University for the 2016-2017 school year, the incoming freshmen were given a very important task. This year, the freshmen asked to not just read a common book but to extend their experience to service. HPU 2020 class came to campus donating a copy of their favorite children’s book. These donations amounted to over 1,000 books for the High Point area schools, community centers, and libraries. 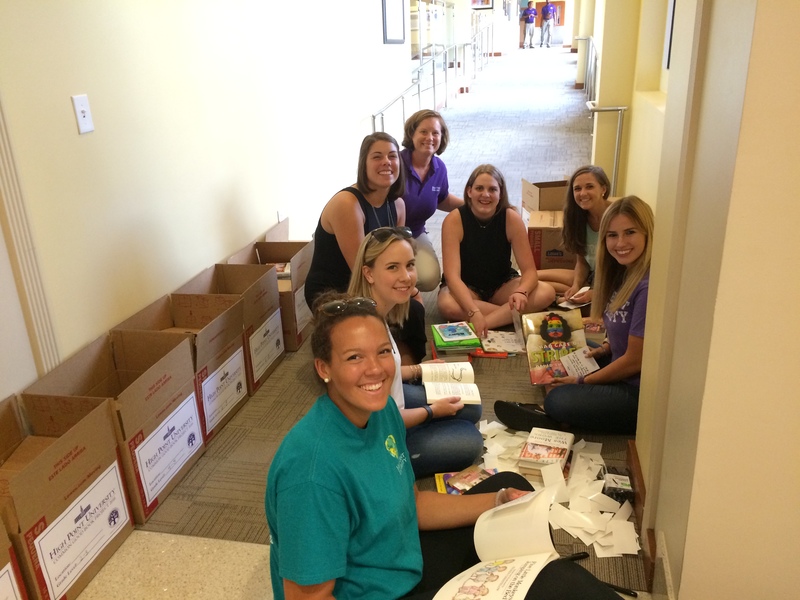 Kappa Delta Pi was on hand to place the… students’ encouraging messages in the books and sort them by age range to appropriately be placed with children. High Point University’s Kappa Delta Pi faculty advisor, Dr. Leslie Cavendish, said, “It is a huge success. We appreciate how generous the new HPU students are, sharing their love of literature from their childhood. A great gift to children and schools in High Point.” Bonner students and some members of the freshmen class delivered the books on Monday September 12 to Kirkman Park Elementary, Union Hill Elementary School and Montlieu Academy of Technology. Books were also donated to Andrews High School, the Community Writing Center and Welborn Middle School. Kappa Delta Pi could not be more proud of the incoming freshmen for their participation and benevolence in supporting the community. Congratulations to doctoral candidate, Ms. Tina Johnson, this year’s award recipient of the MJ Hall Entrepreneurial Accelerator Grant. Through the generous support of alumna Dr. MJ Hall, the School of Education seeks to recognize and support innovative initiatives that are designed to solve critical educational problems of practice in leadership, district reform, improvements in P-21 student learning, teacher quality or community engagement. Ms. Johnson’s project focuses on teacher turnover in a large, urban, public school district in North Carolina. An examination of the district’s teacher turnover rate indicates an increase in teacher “migration” from 10.08% to 14.95% during the 2010 – 2015 timeframe. Moreover, examination of the teacher turnover rates illuminates a trend with teachers migrating from the district to work in other North Carolina public school districts. Comparatively, the rate of change is higher than four neighboring public school districts. The overarching goal of Ms. Johnson’s strategic project is to increase teacher retention within the district by using an “empathic inquiry approach” to seek teacher narratives from a population of candidates who have resigned from the district within the last three years. These teachers will be interviewed about their experiences through surveys and phone interviews. With the support of the Entrepreneurial Accelerator Grant funding, phone interviews will be transcribed and coded to identify themes within the teacher narratives. Recommendations in the form of an Executive Summary will be presented to district administrators for their consideration following the study. Drs. Shirley Disseler and Tess Hegedus are blasting off to US Teacher Space Academy on August 1st in Huntsville Alabama. Eight STEM Graduate students and seven teachers from the Thomasville City Schools will join them as they embark upon a 9-day adventure to explore STEM in the classroom and ways to utilize NASA materials in the classroom. Check the School of Education’s Facebook page for daily updates from the crew! July 2016 – School of Education May 2016 Elementary Education major, Ainsley Gompf, was recently published on the North Carolina Association of Elementary Educators (NCAEE) blog. 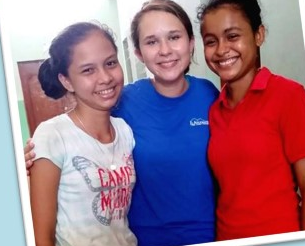 Ainsley blogged about her month serving at El Ayudante in Leon, Nicaragua. Click here to read her entire blog. May 2016 – Congratulations to School of Education majors Lucy Kennedy and Katie Mastropiero for being selected to serve as Co-Chief Junior Marshals. Criteria for being selected as a Junior Marshals: At the beginning of the junior year, the thirty-five (35) students with the highest cumulative grade point averages are designated as Junior Marshals for the academic year. All full-time continuing students having junior status and having attending High Point University for a minimum of three semesters are eligible for considerations as Junior Marshals. Junior Marshals assist at Opening Convocation, Honors Day, Baccalaureate, and Commencement. The School of Education graduate symposium was held on April 25th in the Greek Conference Center. 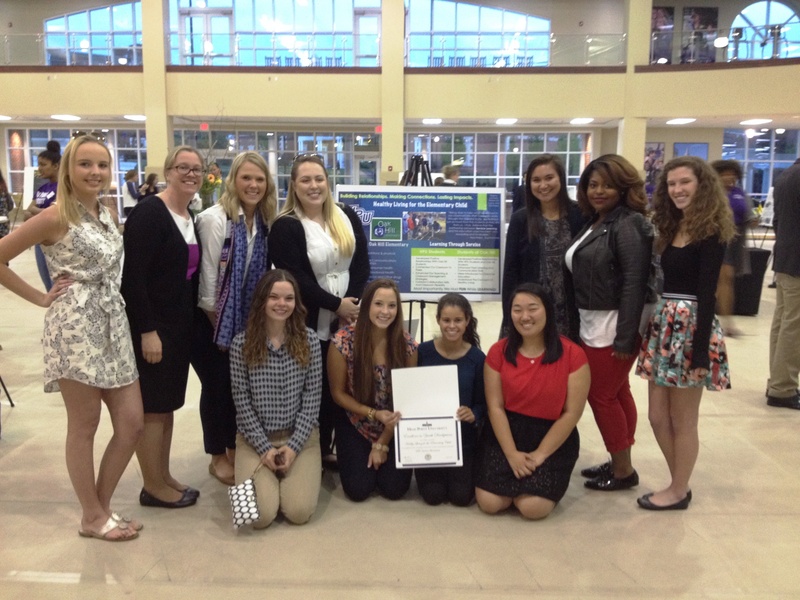 Students seeking a Masters in Elementary Education with a Concentration in either STEM, Literacy, or Special Education Content presented research from the field as part of the Product of Learning Capstone for their respective program. 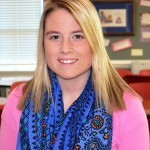 April 2016 – Ms. Stephanie Lowe Austin, HPU Doctoral Candidate, has been named as the Director of the Exceptional Children’s Program in Rockingham County Schools. She begins her new role in May. Mrs. Lowe Austin formerly served as an Exceptional Children Program Specialist with Asheboro City Schools. We wish Mrs. Lowe Austin well with her new position! 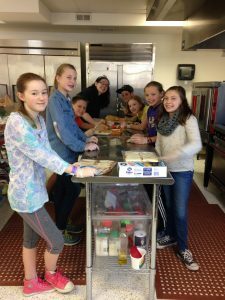 The Healthy Living for the Elementary Child service learning class won the Excellence in Youth Development this year at the Service Learning showcase. The class partnered with Oak Hill elementary and worked with the kindergarten and first grade classes teaching healthy living concepts to the students. For a cumulative event at the school the class also partnered with Food Corps to host a Vegetable Gardening Day for the kindergarten and first grade students at Oak Hill elementary. 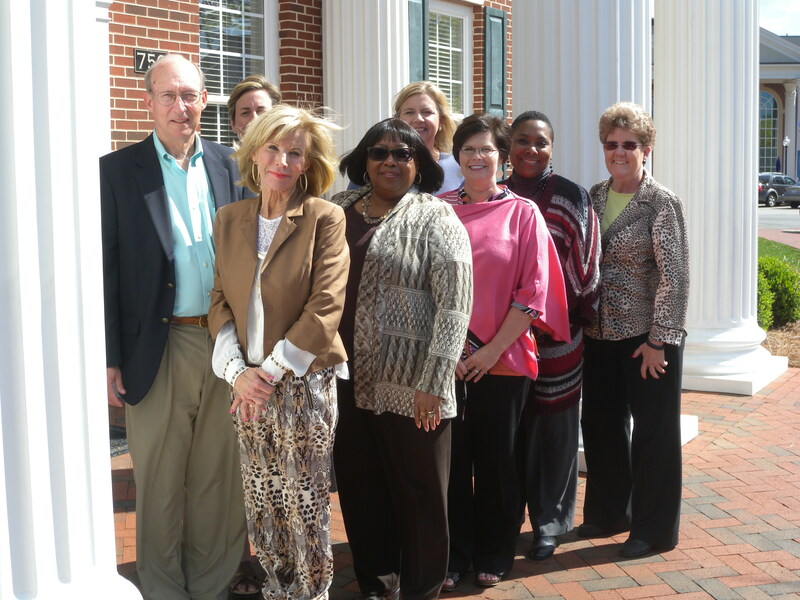 April 2016 – Congratulations to our High Point University doctoral students and NC New Schools|Breakthrough Learning leadership coaches for being the first to complete the Executive Leadership Coaching Certification Course. The blended course is a joint effort between High Point University and NC New Schools|Breakthrough Learning and combines theory and practice around a coaching model that focuses on relationship, trust, critical reflection, questioning and active listening among other skills. These brave pioneers participated in the pilot this spring, becoming proficient in the NEWHIGH Way model of coaching. Pictured left to right: 1st row: Dr. Katie McGee, Debra Barham, Myra Cox, Kristi Rhone, Dr. Sandy Sikes. Back row: Clint Johnson, Dr. Jen Benkovitz, and Emily Lipe. Students Share HPU Math Knowledge with Pre-Service Teachers! 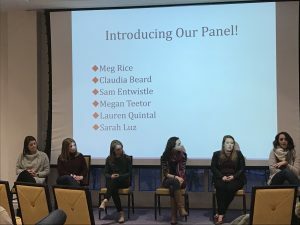 April 5, 2016 – Juniors Maddie Scully, Sally Gray, Abbey Bosley, Lauryn Hanson, and Erin Lee assisted Dr. Shirley Disseler in a presentation showcasing math practices that Ignite and Inspire kids to learn Mathematics at Appalachian State University on April 5th. They discussed with other pre-service teachers the need to expand mathematical thinking into a more conceptual framework that engages students and motivates them to do math. Dr. Disseler shared strategies for using LEGO bricks to teach fractions among other hands-on activities. 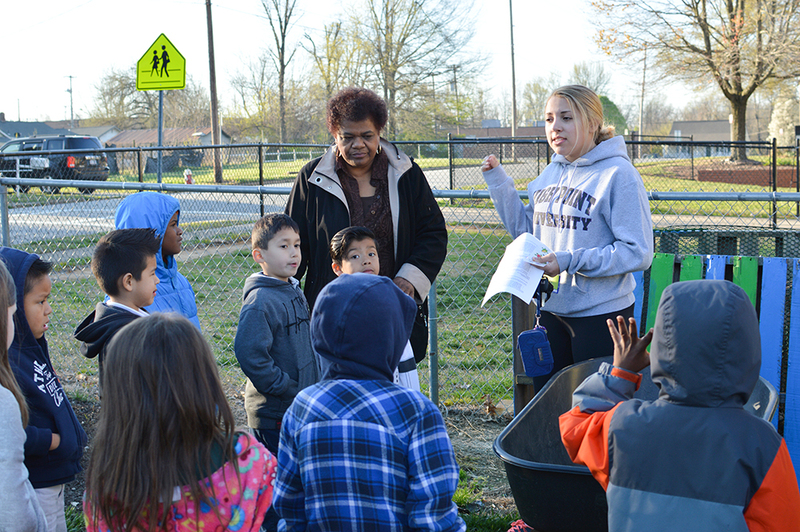 April 5, 2016 – High Point University students teamed up with Food Corps to host a Vegetable Gardening Day for students at Oak Hill Elementary School. The HPU students are enrolled in the Healthy Living for the Elementary Child service learning course at HPU and dedicated a semester to educating children at Oak Hill Elementary about healthy lifestyles. 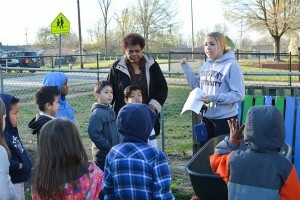 Every week, HPU students would creatively teach the children how to make healthy choices. The Vegetable Gardening Day was a culmination of all of the course’s concepts. By gardening, the children were taught about the growth cycles of plants and where food comes from, allowing them to engage with their environment. The student chapter of Council for Exceptional Children (CEC) at High Point University kicked off Autism Awareness Month on April 1st by having students sign a pledge to “Light It Up Blue”. CEC members welcomed students and faculty to a table in Wanek Center where they signed the pledge and shared on social media ‪#‎HPUgoesBlue‬. 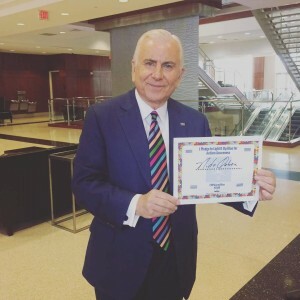 Dr. Qubein also showed his support by signing the pledge! The School of Education will display blue ribbons and select water features on campus will be blue in recognition of Autism Awareness Month. Students who stopped by were greeted by Madison Stimmel who was on hand to assist and share facts about Autism. HIGH POINT, N.C., March 23, 2016 – High Point University student success coach and adjunct professor Akir Khan is the recipient of a Community Game Changer Award from the Community Foundation of Greater Greensboro. Offered in partnership with the Greensboro Grasshoppers, the award recognizes people who have worked to make the local community a better place for all residents. 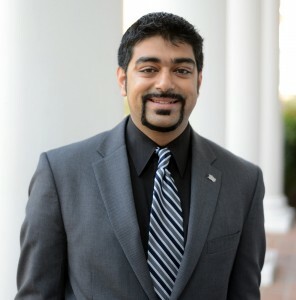 At HPU, Khan supports the academic, personal and social success of first-year students and helps connect them with the university’s resources and programs that promote student success. He also teaches courses in human relations and business. Khan is the chair of the Piedmont Interfaith Council and is involved in promoting interfaith dialogue within the community. He also serves as a community liaison to the Out of the Garden Project to raise awareness of the need for donations to support food deserts. The Community Foundation of Greater Greensboro will recognize Khan at the conclusion of the Greensboro Grasshoppers game on June 11 at NewBridge Bank Park. Spring 2016 – Dr. James Davis, Associate Professor in the School of Education, teamed up with HPU doctoral student, Ryan Moody, to team-teach several lessons to future teachers at High Point University. Mr. Moody currently serves as an Assistant Principal at Otis L. Hairston Middle School in Guilford County Schools. Prior to his position with Hairston Middle School, Mr. Moody spent eight years at Ragsdale High School as a teacher and coach. Dr. Davis, along with Mr. Moody, in the EDU 4566, “Using Data to Make Instructional Improvements” course, presented information to students with regard to data, data analysis, serving all students, and positively impacting student achievement. The content was covered and research-based instructional strategies were modeled. Students described the presentations as purposeful, helpful, timely, and engaging! February 18, 2016 – Kappu Mu Chapter of Kappa Delta Pi, International Honor Society in Education, welcomed 17 new members in it Spring 2016 initiation. Kappa Mu Chapter is in its 51st year on the High Point University campus. Ms. Stephanie Austin, a member of the School of Education Doctoral Cohort IV, was selected to receive the 2016 National School Psychologist of the Year Award. This award is bestowed annually by the National Association of School Psychologists (NASP). The Award is announced at NASP Annual Convention. In 2016, this Convention was held (February 10–13, 2016) in New Orleans. NASP School Psychologist of the Year Award (SPY) Program recognizes excellence in the provision of school psychological services by a field-based practitioner. Each state is invited to nominate one candidate. Nomination materials are to be completed by state presidents (or their designees) for NASP-affiliated state associations. NASP delegates are to complete materials in any non-affiliated state. Candidates must be current members of NASP and practicing school psychologists who spend the majority of their time providing direct services to students, teachers, and parents. (Trainers, researchers, and administrators are not eligible for this award). The NCSP is desired. An award ceremony takes place at the NASP convention. The CEC students, along with High Point Parks and Recreation and Randolph County’s Wheatmore High School students, co-hosted the event. Each participant with disabilities took home a blanket and hand-crafted ornament from the event. 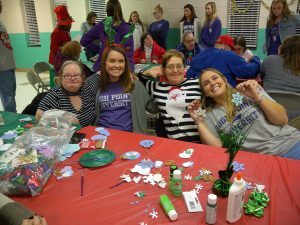 Over the past six years, the organization has put on numerous parties for individuals in the community with disabilities for various holidays such as Valentine’s Day and Halloween. Click here for full story! 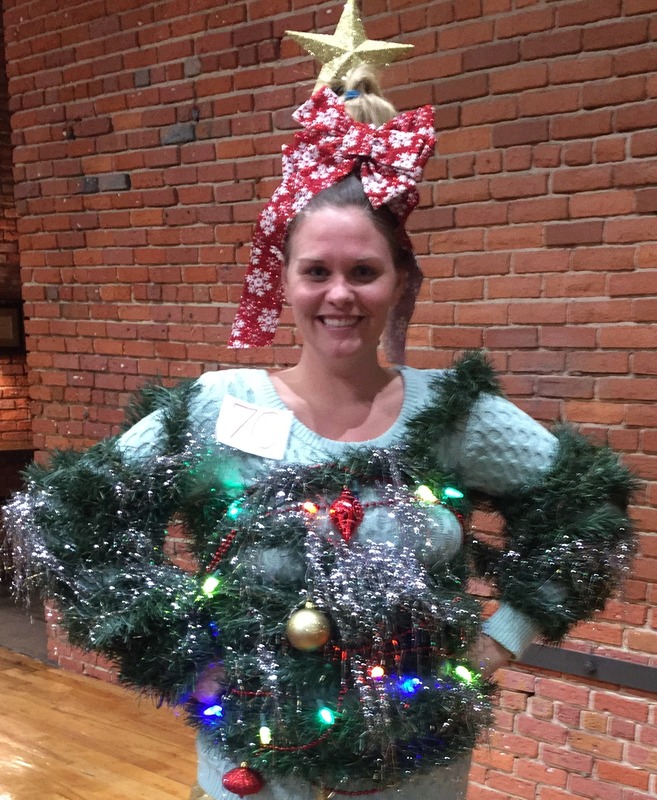 December 2015 – Lauren Fields, Cohort IV Doctoral Candidate and teacher at Hopewell Elementary School, received the 1st place prize at the 3rd Annual Tacky Christmas Sweater Party at last night’s Randolph County Communities in Schools fundraiser. Lauren’s prize of Chick-fil-A for a year was presented to her by Dan Cathey, president of Chick-fil-A. Over $7000 was raised at the event and will be used for the organization’s dropout prevention programs. Click here for the full story in the Asheboro Courier Tribune. November 2015 – Letisha Judd is a doctoral student in educational leadership who demonstrates excellence in school leadership. Her district values her leadership, and we at High Point University value her leadership as both a scholar and practitioner. She is a goal-oriented leader who influences others to make great things happen for students in public schools. As she states in this feature article, she knows her purpose and she lives it every day. Click here to read the article about Letisha recently published in The Triangle Tribune. 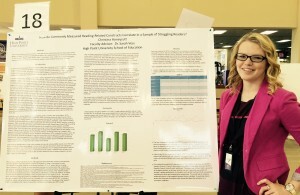 November 2015 – Christina Honeycutt recently presented her research entitled “How Do Commonly Measured Reading Related Constructs Correlate In A Sample of Struggling Readers?” at the State of North Carolina Undergraduate Research Conference (SNURCS) held at High Point University November 14, 2015. Christina participated in the High Point University Summer Undergraduate Research Institute (SURI) under the mentorship of Dr. Sarah Vess, Assistant Professor and Chair of the Department of Specialized Curriculum. 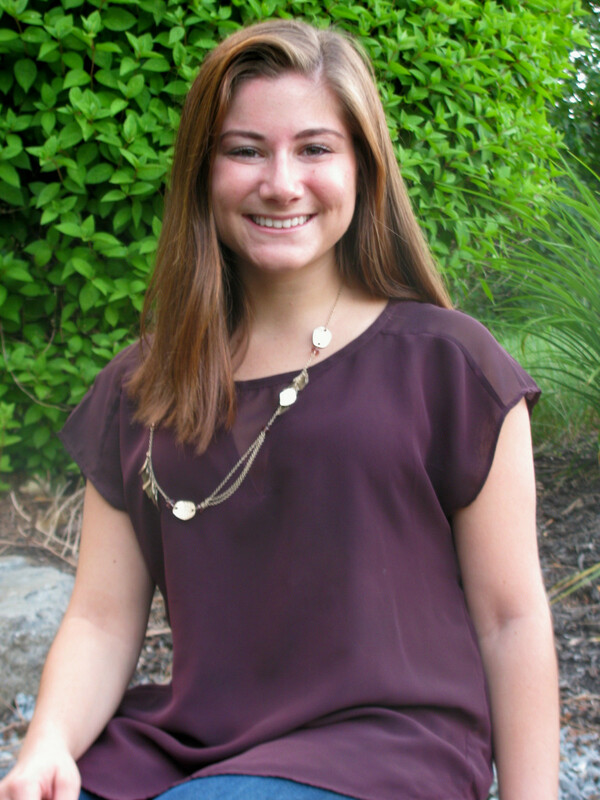 Christina began working as a research assistant for Dr. Vess in Fall 2014. She completed training on the Helping Early Literacy Practice Strategies (HELPS) Curriculum and facilitated the HELPS program to struggling readers at a local elementary school as part of a partnership with Stacey Field of North Carolina State University. After data collection was complete in the Spring, Christina created her own research question from Dr. Field’s research study. During the Summer Undergraduate Research Institute, Christina intensely studied reading constructs and analyzed data to understand how different measured aspects of reading related to each other in the students she had worked with this past Spring. When asked about Christina, Dr. Vess said “working with Christina has been inspiring. She is passionate about the field of special education and wants to learn as much as possible that will help her in her future career. She is very active in many groups on campus and still finds the time to commit to research. I am fortunate to have Christina on my research team”. Christina is a Junior, Special Education major. She is the President of Teachers of Tomorrow, an officer in the Student Council for Exceptional Children, a Resident Assistant, a volunteer for Miracle League, and involved in too many campus organizations to name! Special Education juniors and seniors at the 65th Annual Conference on Exceptional Children at Koury Center in Greensboro. The conference is sponsored by NC Department of Public Instruction, Exceptional Children Division. 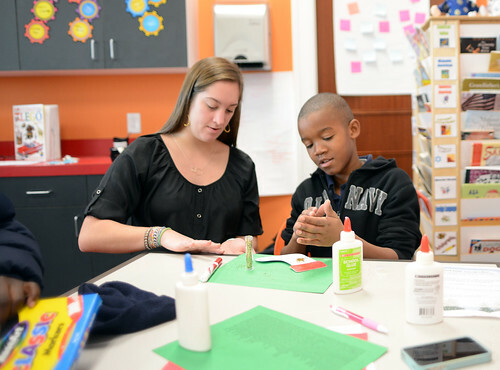 November 2015 – For the second consecutive year, The Piedmont School joined senior special education majors at High Point University for EDU-4144 Seminar III. The Piedmont School (TPS) is located in High Point and provides educational services to students with learning disabilities and/or Attention Deficit(Hyperactivity) Disorder. Mr. Tim Montgomery, Head of School, Deneane Davis, Academic Dean, and Kori Mackall, Director of Communications, along with a panel comprised of eight Piedmont School students joined HPU students for a frank and open discussion on what it takes to be the teacher who is remembered for the right reasons. The students, fifth thru tenth graders, shared their perspective of what teaching practices encourage students to meaningfully engage in learning. TPS students enjoyed a walking tour of campus that included some time in the arcade and a great lunch at the Café! November 5, 2015 – Teachers of Tomorrow (TOT) hosted an event called “Energizing Educators”. The event consisted of a panel of three principals from Guilford County sharing their thoughts and experiences on education. Christina Honeycutt, junior special education major and president of TOT, emceed the event. The first half of the event contained questions that Christina asked the panel ranging from their philosophy on education to what do the principals do to motivate and build leaders within their staff. The second half of the evening was a chance for the audience to ask questions to the principals. The questions ranged from advice for first year teachers to graduate education. 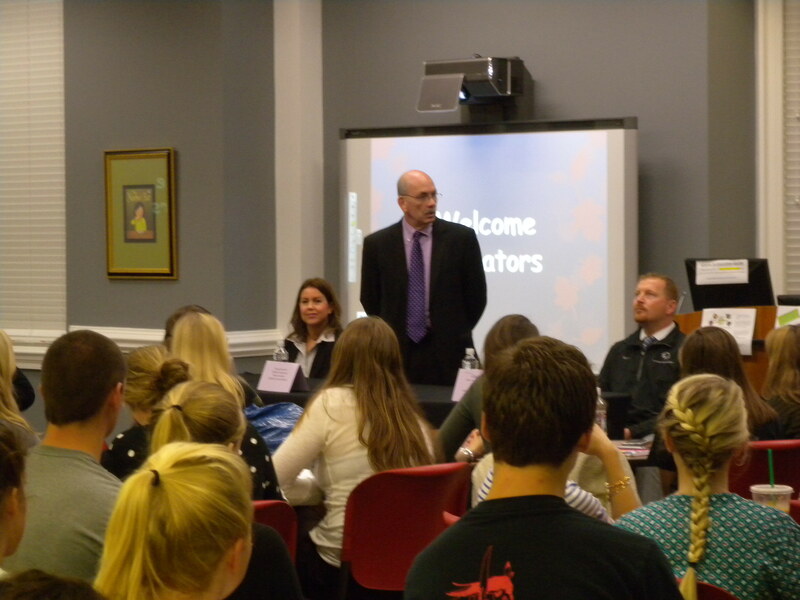 The evening concluded with open time for students to talk one on one with the panel. The evening was a great success with students reporting that they felt motivated and energized and more prepared for their future in teaching! 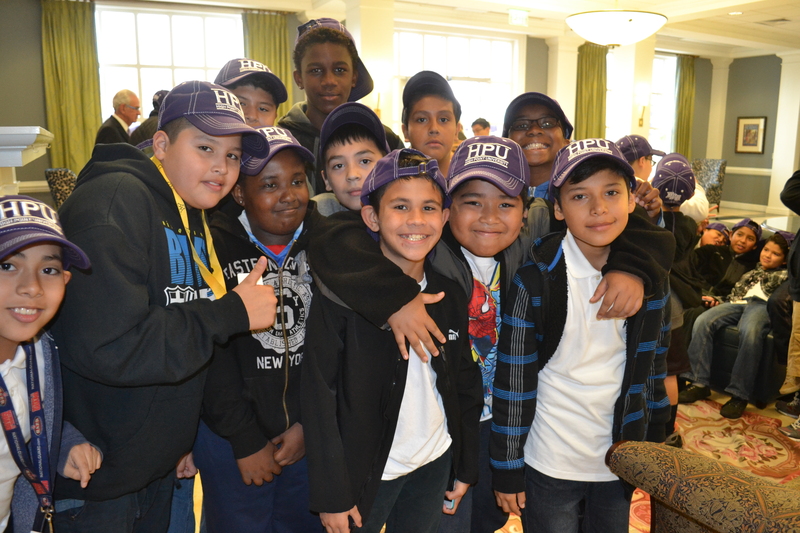 November 2015 – On November 3, 2015, Teachers of Tomorrow (TOT) welcomed 22 fifth grade boys from Konnoak Elementary School in Winston Salem to High Point University. TOT took them on a tour of the university as well as answered questions about college and HPU. The event was one of many ways that Konnoak Elementary is encouraging their students to start planning their future. During the past few month the students have discussed careers and the possibilities of going to college. Having the students come on to campus helps the students see what a college campus and experience could be. November 13, 2015 – HPU’s Come Build with Us LEGO program hosted twenty K-7 students from Guilford County’s Deaf programs at Kiser Middle and Johnson Street Global schools. 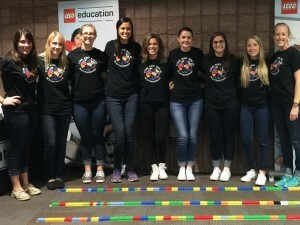 These students experienced engineering, story creation and robotics with LEGO Education as pre-service teachers at HPU interacted and taught lessons along with signing specialists. Opportunities like this help HPU candidates to explore the realm of exceptionalities that students face in the school setting and learn how to work along side specialists in the special education field. November 2015 – Ms. Stephanie Austin, a doctoral student in our Ed.D. Educational Leadership Program, will be featured as the Keynote Speaker at the statewide North Carolina Department of Public Instruction (NCDPI) PBIS Recognition and Celebration Awards Ceremony on Tuesday, November 17, at the Koury Convention Center in Greensboro, NC (600-900 in attendance). She will be presenting her keynote speech from 12:45-1:15. Positive Behavior Intervention and Support (PBIS) is as an effective and proactive process for improving social competence and academic achievement for all students. 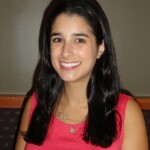 Stephanie is currently is a professional School Psychologist and PBIS Coach/Trainer in Guilford County School and is also the North Carolina 2014 NC School Psychologist of Year. 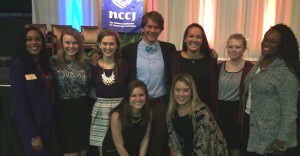 November 2015 – Students of HPU’s School of Education, along with Dr. Tawannah Allen, attended The National Conference for Community and Justice of the Piedmont Triad, Inc. (NCCJ) Citation Award Dinner on November 12, 2015. Margaret B. Arbuckle of Greensboro and HPU Board of Trustee, Robert J. “Bob” Brown of High Point, were this year’s recipients of the Brotherhood/Sisterhood Citation Award for bettering the community. November 6, 2015 – The Special Olympics North Carolina Fall Tournament took place November 6-8 in High Point. Approximately 900 athletes competed in boccie, golf, roller-skating, soccer and tennis. This was the 10th year the Fall Tournament was held in High Point. As part of the Games Management Team, HPU Student Council for Exceptional Children was in charge of Information Services for the Fall Tournament. 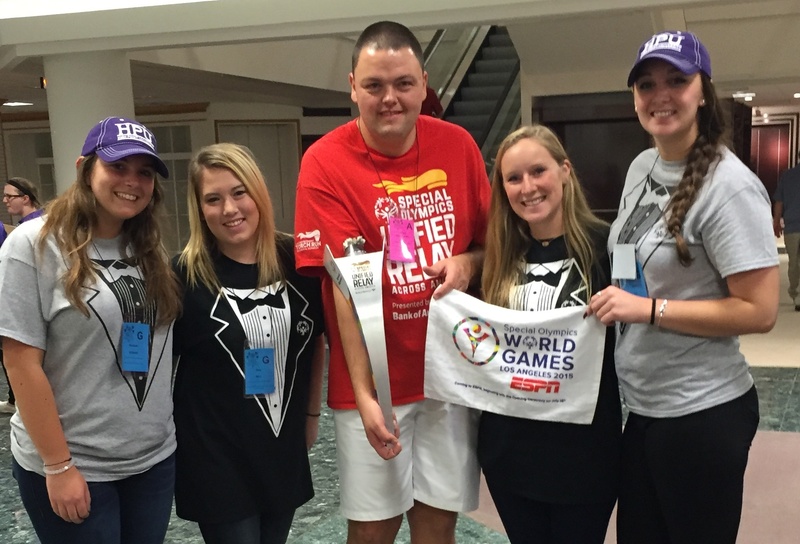 Students attended training meetings prior to the start of the Tournament and during the Tournament were present at every venue to provide information to athletes, families, friends and members of each delegation. The weekend began November 6 with competitions in bocce, soccer, and tennis. Opening Ceremonies were held Friday night at the Mendenhall Transportation Center. Thanks to Prowler, the HPU cheerleaders, the Petal Points and the Ice Cream Truck for helping make the evening a HUGE success for everyone! Despite poor weather conditions competition continued all day Saturday and culminated in a dinner and dance Saturday night at the HPU Community Center at Oak Hollow Mall. Athletes and their families danced the night away!! Sunday was cold and rainy but the smiles and camaraderie continued as approximately 900 athletes from 50 North Carolina counties concluded their competitions. 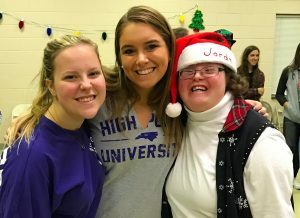 The Student Council for Exceptional Children at High Point University and the HPU School of Education were proud and privileged to partner with Special Olympics of High Point and Special Olympics of North Carolina in this extraordinary event! We can’t wait to do it all again next year! The songs may fade, but the everlasting picture of a genuine smile will not. October 10, 2015 – The M.Ed. STEM students participated as presenters at the Charlotte Mini-Maker Fair at the Discovery Place. Thousands of people attended the event, and the HPU students were able to share how LEGO Education helps students learn innovative and creative ways to solve problems through the Engineering Design Process. This event was held to inspire young inventors, strengthen creativity in our area and provide children and parents a day to invent together. September 17, 2015 – School of Education adjunct instructor, Dr. Allison Blosser, and students in her Education in the Age of Globalization course joined hundreds of Guilford County public school students at Ragsdale High School to celebrate the official launch of “Say Yes to Education in Guilford County“. Say Yes to Education is a national nonprofit organization that will offer free college tuition and wraparound services to every student attending a Guilford County public school. 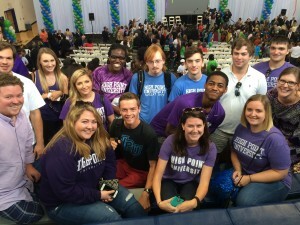 High Point University has partnered with Say Yes. 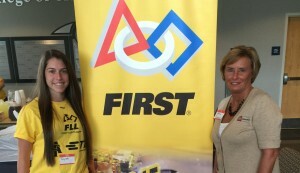 August 2015 – STEM grad student, Taylor Niss, and Dr. Shirley Disseler presented three programming workshops Saturday, August 29, at A&T University for over 400 people attending the kick-off to the First LEGO League competition season. 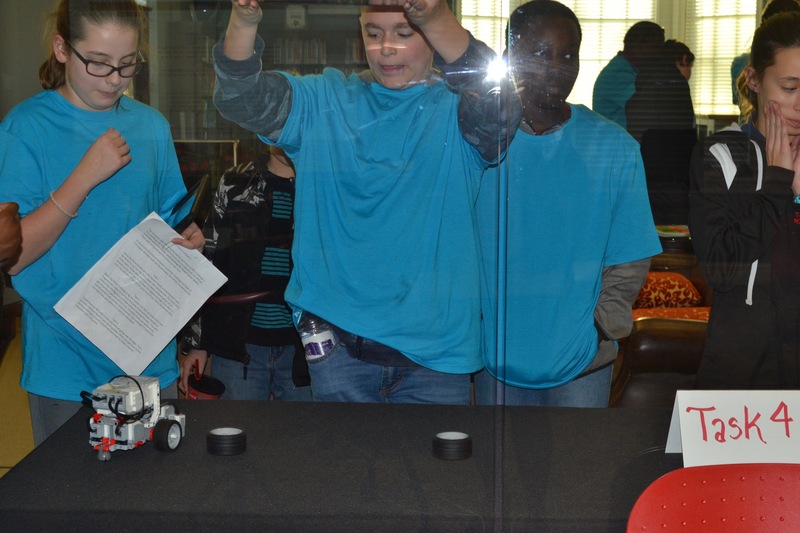 Participants learned some skills involved in programming the EV3 robot to move and use sensors to detect obstacles. Students ages 8-15 and their coaches were in attendance. 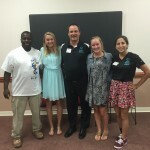 August 2015 – Austyn Wood and Alana Pulling, members of Student Council for Exceptional Children, are pictured with Billy Quick, Special Olympic athlete and member of the Special Olympics of NC Athlete Council, Roger Johnson, Special Olympic athlete and Chairman of the Special Olympics of NC Athlete Council and Michelle Banklyder, Volunteer and Families Manager for Special Olympics of NC. 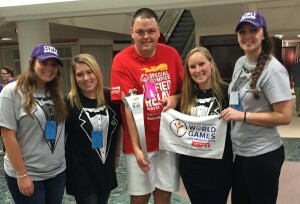 Planning for the NC Fall Special Olympic Tournament is underway, and HPU’s Student Council for Exceptional Children is proud to be a part of the upcoming event, November 6, 7, and 8th. 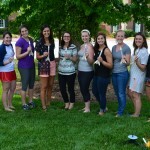 June 2015 – The graduate students in the STEM program at HPU will host 53 elementary students from the High Point area for a STEM camp June 22-July . Students will experience science, technology,engineering, and math in a fun-filled nine day camp held on the campus of HPU. 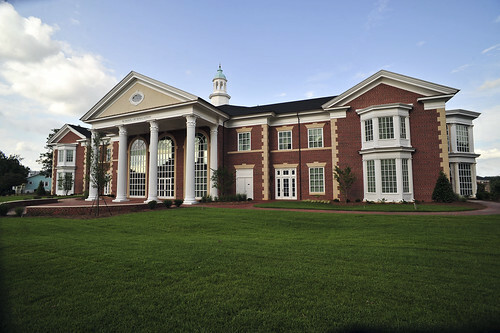 Graduate students at HPU will create lessons and activities that include a look into STEM fields such as Aeronautics, Forensics, Chemistry, Physics, Robotics, and Engineering. The week will end with a rocket launch and a visit from the Mad Scientist. Fourteen undergraduate and four graduate students attended the trip, accompanied by Dr. Leslie Cavendish and Dr. Sarah Vess. John Yankello, alongside Dr. Shirley Disseler and Dr. Jane Bowser, presented “Deep Dive in American Education”; “Tech in the 21st Century Classroom”; and Preparing Pre-service Teachers to Meet the Challenge” to LEGO Education’s Global Leadership Team while attending the World Robotics Championships in St. Louis, Missouri. The goal of the presentation was to make the Global Education Business partner aware of changes in the US system and how they need to focus efforts in educational arenas. 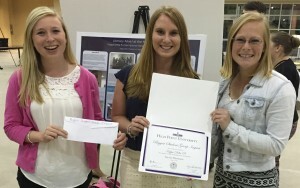 April 15, 2015 – At the SERVES Showcase, HPU had over 75 posters created by students illustrating and reflecting on the service they completed this year. Over 250 students, faculty, staff, and community members attended and learned a lot about how this university is partnering with our community. Awards were given away, and Kappa Delta Phi, the Education Honors Society earned the “Biggest Impact Award” for their Literacy Alive! 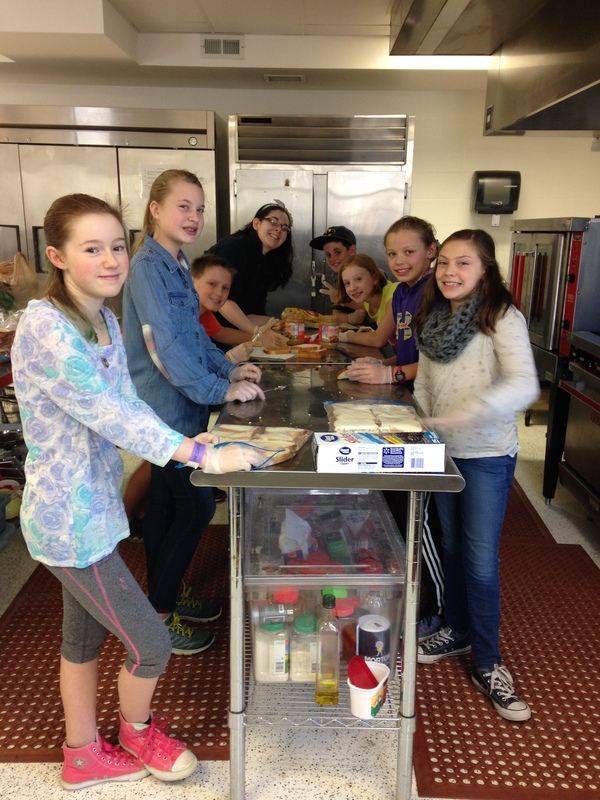 service project “Y-Brary”. “ These projects bring hope, encouragement, and a love for reading which in itself provides so much for a child. Volunteering for these projects with other people who dedicate their lives to enriching children is an incredible experience in itself. But to know we are helping to improve their way of life, even through something as simple as reading material, is more rewarding than any other project I’ve been blessed to be a part of”, explained Nicole Straley, KDP Membership Chair, ’16. They were awarded a $300 cash prize which they will use to continue to fund the library they have created at the High Point YMCA. March 2015 – Emily Harris, a senior Elementary Education major, presented research at the National Technology and Social Science conference in Las Vegas, Nevada March 28-30th. Her research was done under the mentorship of Dr. Shirley Disseler and was titled “Elementary School Teachers’ Perceptions Towards Teaching Science”. 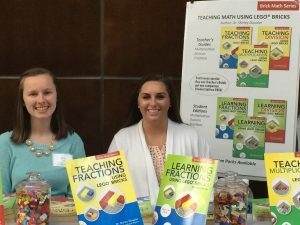 The data was gathered in local elementary schools throughout NC and informed the teaching professional about the need for professional development in the area of STEM education. March 31, 2015 – Sean McComb, the 2014 National Teacher of the Year, visited the School of Education. He is an English Teacher at Patapsco High School & Center for the Arts in Baltimore County, Maryland with eight years of experience. Mr. McComb had lunch and conversation with the student leaders of the School of Education’s professional organizations and later with the faculty. 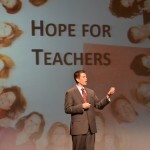 In his message that evening, Mr. McComb was stirringly positive and powerful about teaching and public education. His audience included not only undergraduates and graduate students but also teachers and administration from surrounding school systems. March 15-17, 2015 – Several HPU team members presented at the popular, state-wide conference sponsored by NCMLE (North Carolina Middle Level Education). 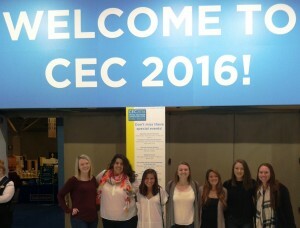 The presenters and presentations were amazing! Taylor Niss, an undergraduate student at HPU, majoring in Elementary Education and minoring in Special Education presented, “The Special Education Journey,” covering the history and journey of special education and the strides that have been made. Taylor is also pursuing a Master’s Degree in Elementary Education with a concentration in STEM at High Point University. Sharron Williams and Shannon Shuey, both enrolled in the doctoral program in Educational Leadership at HPU, also presented. The presentation, “Serving to Learn, Learning to Serve,” focused on transforming middle school learners into civically engaged global citizens. The session focused on how middle school students will be able to plan, organize, and complete a service project, then reflect on how the project impacted the community, school and themselves. Sharron Williams is an Assistant Principal at East Lee Middle School and Shannon Shuey is the Principal at East Lee Middle School, part of the Lee County School System. Lastly, three professors from HPU were involved with the NCMLE conference. Dr. Shirley Disseler presented, “Strategies and Activities to Engage Kids in Mathematics.” The presentation provided middle level mathematics teachers with ideas for engaging students in the understanding of math concepts and the creative aspects of mathematics topics in the 6-8 curriculum. Dr. Jane Bowser presented, “Teacher STEM Clubs: A Model for Implementation.” Dr. Bowser partnered with co-presenter, Jennifer Buck, Technology Coordinator with Thomasville City Schools. Dr. James Davis with the School of Education served as the Assistant Director for the Conference. 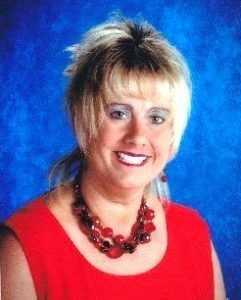 February 2015 – Doctoral student and Principal at Silver Valley Elementary School, Christy Slate, recently wrote a letter in response to her school receiving a “D” grade. The letter was shared with students, staff and the school community. After Ms. Davis shared with her representatives, it made its way to EdNC. Please click the link below to read her letter. February 2015 – Congratulations to Mr. Anthony Davis, 2011 M.Ed graduate from High Point University School of Education, for receiving the “Outstanding Young Educator” award for North Carolina at the ASCD Conference in Pinehurst, NC. This award is presented annually and is based on an educator who demonstrates exemplary commitment and exceptional contribution to the education profession. January 2015 – High Point University elementary education students worked together this semester to develop an outreach project for teachers. 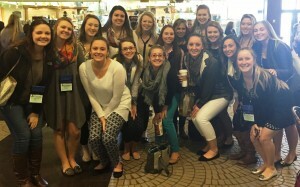 “We are unique at High Point University, as we have a student cohort of the professional organization, North Carolina Association of Elementary Educators,” explained Dr. Cavendish. The HPU students painted flower pots, individually designed for each teacher, and filled them with pencils. This was something the students wanted to do as a small token of appreciation for every teacher at Fairview Elementary. 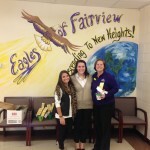 Caitlin Goss, a senior at HPU explained, “We wanted to show the teachers at Fairview how much we appreciate them and all of their hard work.” The HPU students will spend the spring working alongside the Region 5 NCAEE council to host a conference for local teachers on April 14th. We are excited about this year’s theme, Celebrating the Art of Teaching. We have presenters who are experts in all content areas, who will inspire and energize teachers. We invite all educators to come! You can read the entire story which was printed in the Greensboro News and Record by clicking on the link below. 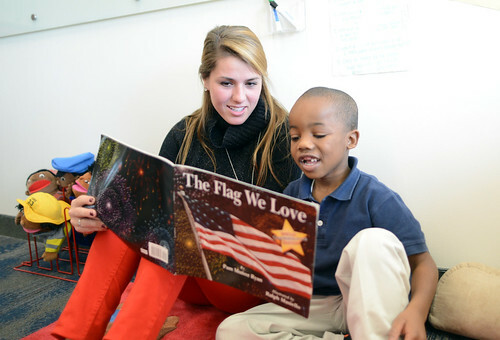 November 2014 – Through the generosity of the Walmart Foundation, High Point University Elementary Education majors were afforded the opportunity to promote the joy of reading to the entire student body at Kirkman Park Elementary School; Pre-K-5th grade. Debbie Albert, instructor of the Children’s Literature course, applied for the grant in hopes she and her students would have an opportunity to spread the joy of reading. The project, entitled “A Book and a Blanket” provided a book and a blanket for each child in the school so each one might experience the joy and comfort realized from curling up with their own book and blanket. November 2014 – Leni Fragakis, M.Ed. K-6 (literacy concentration) graduate, worked together with Dr. Debbie Linville to design a literacy-based instructional unit entitled “Creating Multigenre Projects to Celebrate Cultural Diversity” and it has been published by the International Reading Association. This instructional unit is the second collaborative effort between the two educators which has been accepted for inclusion in the IRA Bridges project: Instruction Units for the Engaging Classroom. Miss Fragakis and Dr. Linville have been invited to present the unit at the IRA conference in St. Louis, Missouri in July, 2015. Miss Fragakis has a BA in K-6 and a M.Ed. in grades K-6 with a focus in literacy from High Point University. She is a licensed Reading Specialist (K–12), Special Education General Curriculum teacher (K–12), and Elementary Education teacher (K–6) in North Carolina. She is currently a third-grade teacher at The Arts Based School in Winston-Salem, North Carolina. 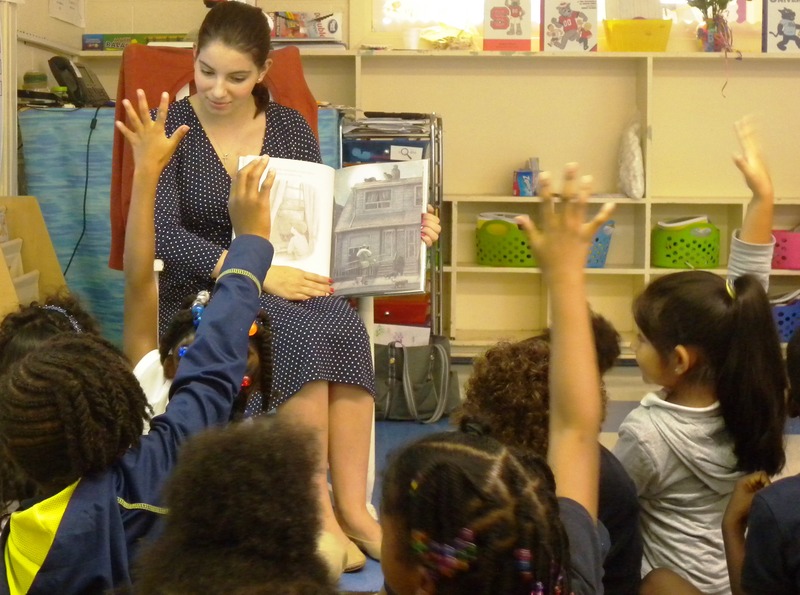 Ms. Fragakis has a passion for integrating literacy experiences and the arts into all curriculum areas. Along with attending numerous international-, national-, and state-level conferences, she has co-presented at conferences for organizations such as North Carolina Association of Elementary Educators, North Carolina Council of Teachers of Mathematics, and North Carolina Council for the Social Studies. April 2014 – The School of Education celebrated the completion of another successful year of Student Teaching at our annual Awards Banquet the evening of April 28. The guest speaker for this event was Dr. Don Martin, School of Education Ed.D faculty member. 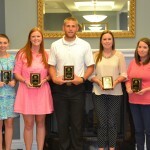 At this event, five students were selected as our Spring 2014 Outstanding Student Teachers. These students were nominated by their Cooperating Teachers and selected from our 70 student teachers this semester. The recipients this year were (pictured left to right) Katherine Haynes-Special Education, Mallory McMahon-Secondary Math, Max Coleman-Health & Physical Education, Caroline Stalvey-Elementary Education and Rachel Jones-Elementary Education. Congratulations to these students as well as all our graduating students! 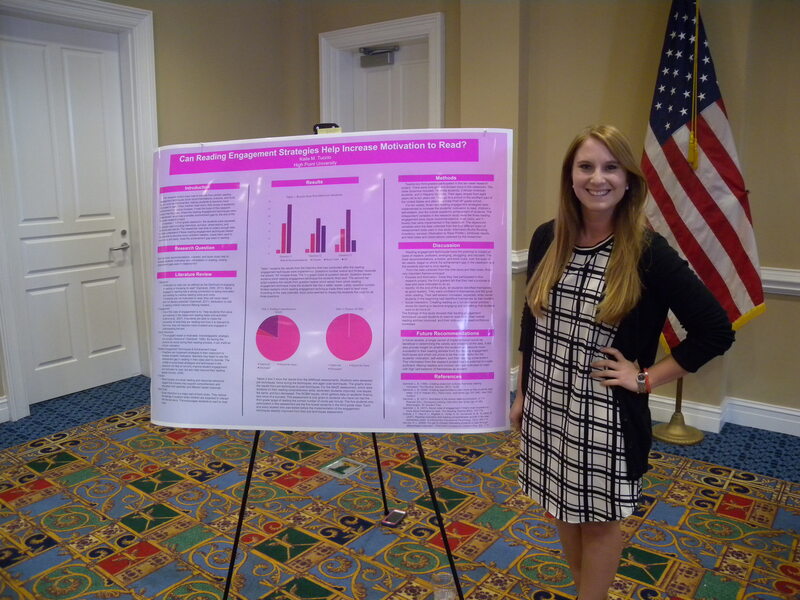 The School of Education is proud to announce that Kayla Dolan’s research has been accepted for presentation at the 2014 National Conference on Undergraduate Research held at the University of Kentucky. Kayla is a Senior Special Education major whose research interests include Response to Intervention (RtI), the use of progress monitoring in data based decision making, and the incorporation of cross-discipline mentors into field experiences to train pre-service teachers. Kayla’s research submission entitled Utilizing a RtI Service Learning Program to Train Pre-Service Teachers, was selected from more than 4,000 submissions. Kayla has worked as a research assistant to Dr. Sarah Vess for the past two years. 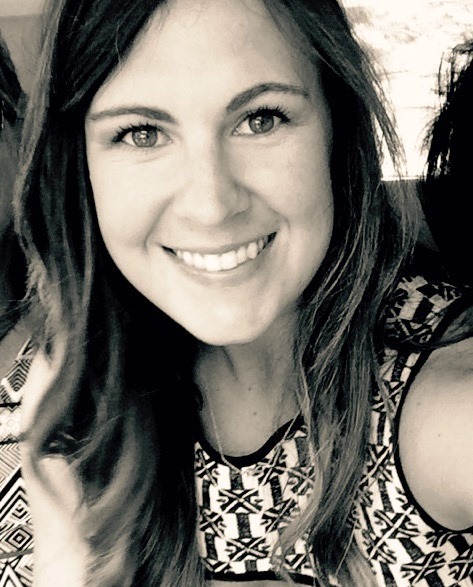 According to mentor, Dr. Sarah Vess, “Kayla is a valued asset to our department. I have watch Kayla develop from a student interested in the concept of RtI to a student who could teach a college course on RtI over the course of those two years. “ Kayla is a leader in the area of research and university service. She serves as the President of the HPU student chapter of the Council for Exceptional Children and coordinates several volunteer opportunities for students involved in the organization. 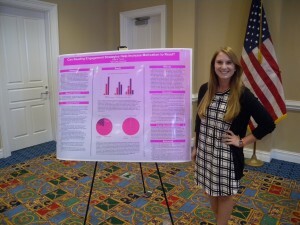 Alyssa Springer, an HPU elementary education senior, is presenting at the National conference for the Council of Undergraduate Research (NCUR 2014) at the University of Kentucky in April. Chosen from more than 4,000 submissions, her research demonstrates a unique contribution to education. Dr. Cavendish, Alyssa’s faculty mentor, stated, “Alyssa is a motivated and insightful researcher. She has delved into a unique aspect of curriculum development just at the time as we as a nation have been working diligently to become more global. I am proud to be able to have the opportunity to work with her.” Dr. Cavendish will accompany Alyssa to the University of Kentucky to support her in this unique opportunity. While at NCUR 2014, Alyssa will be presenting her work to peers, faculty, and staff from around the world.